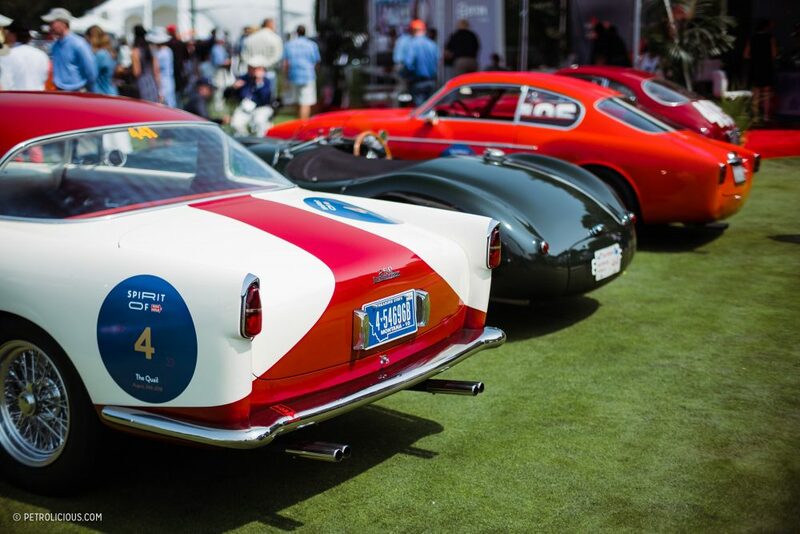 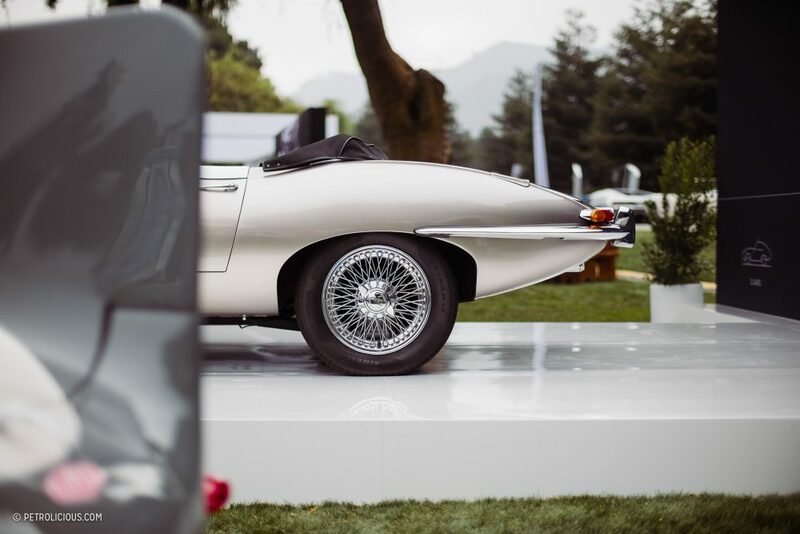 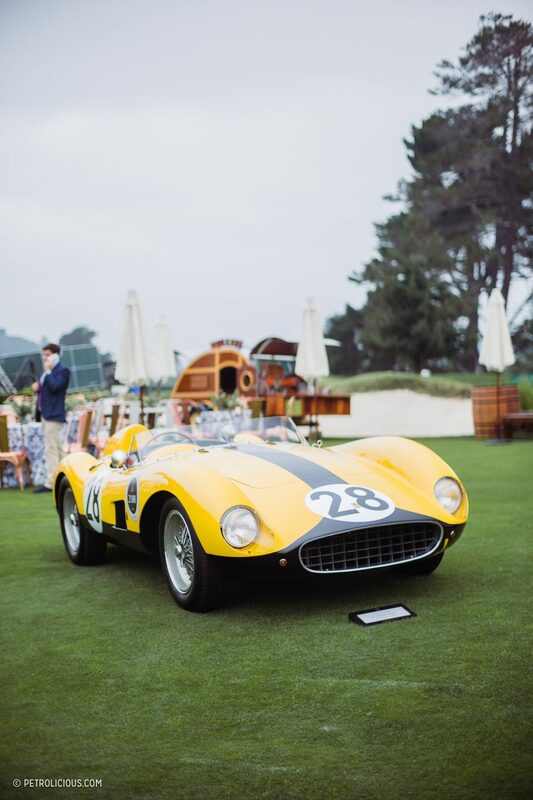 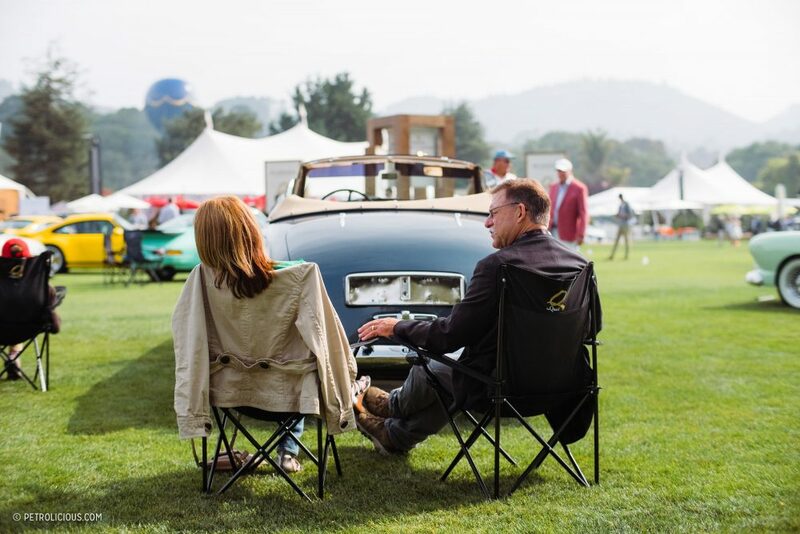 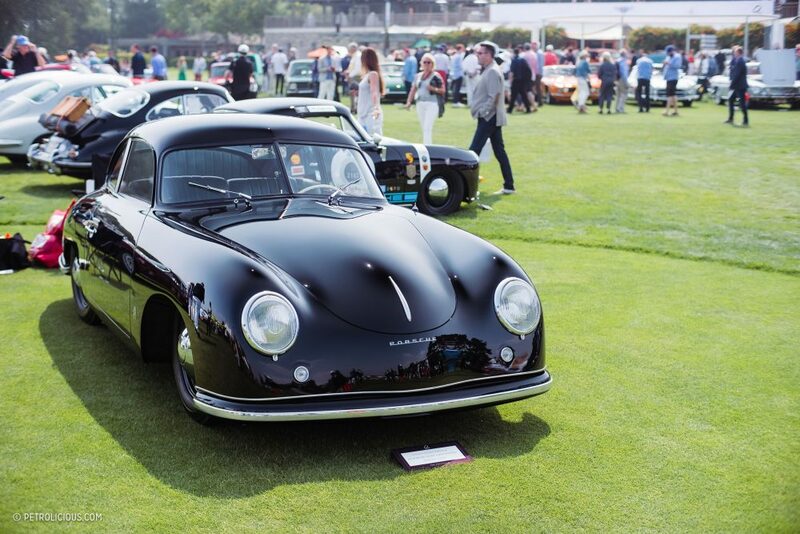 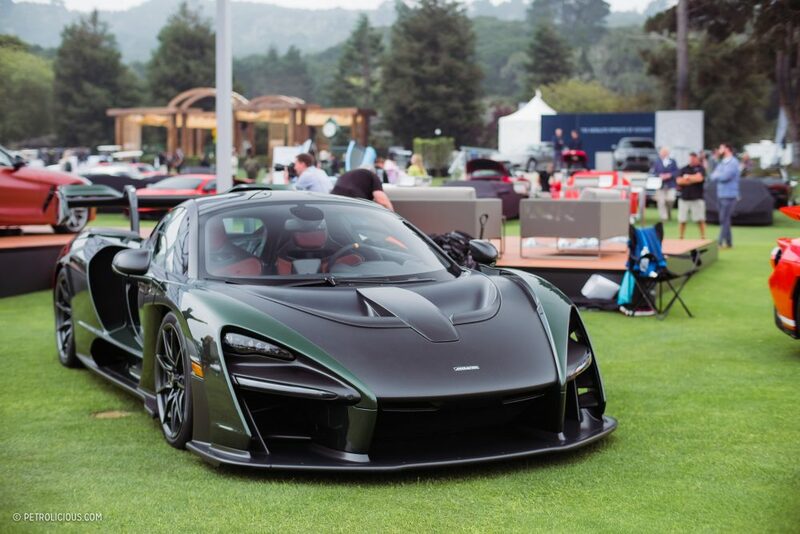 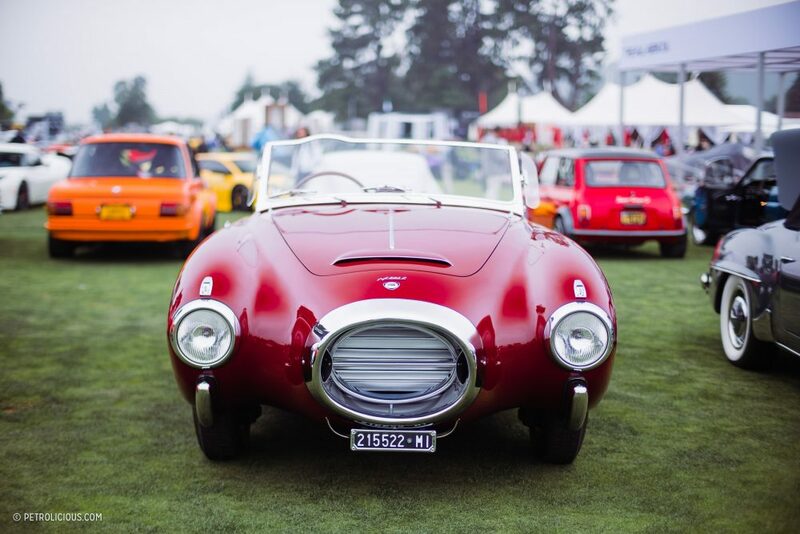 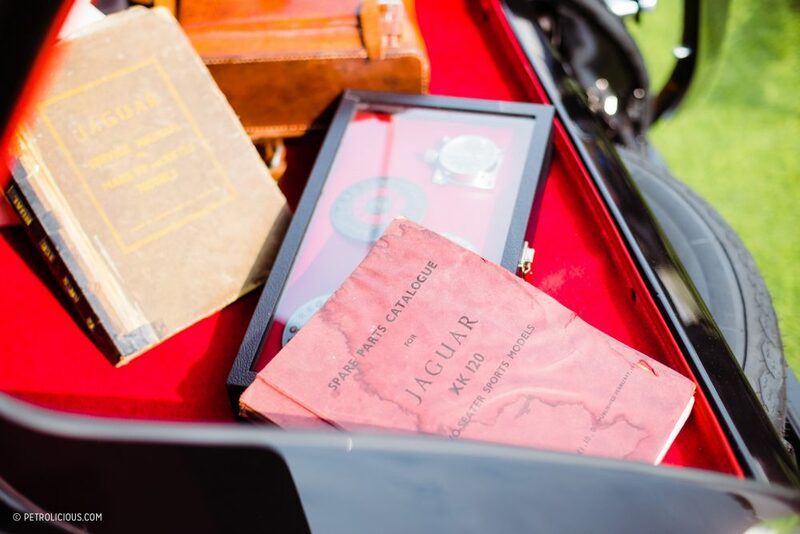 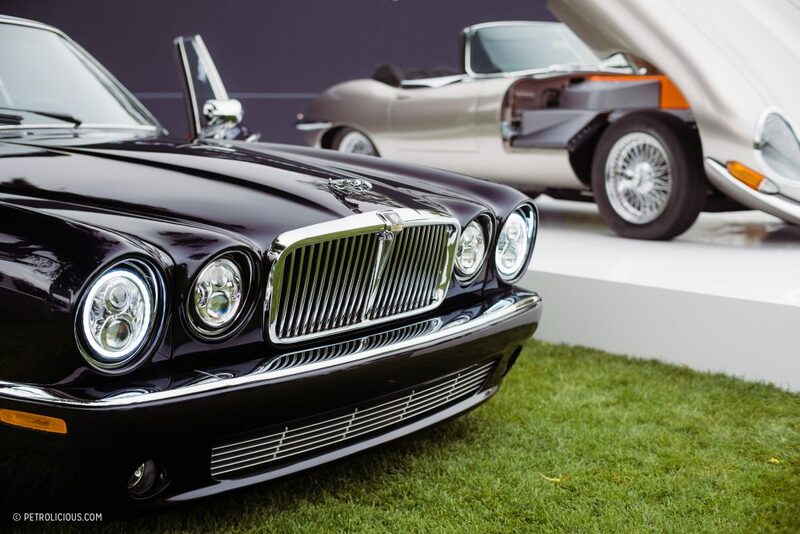 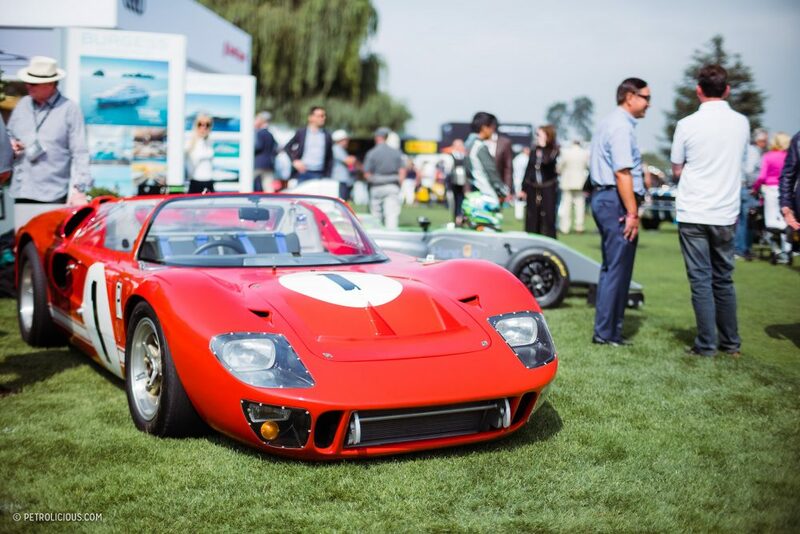 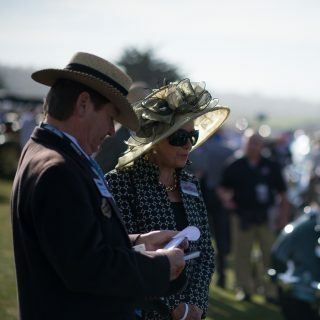 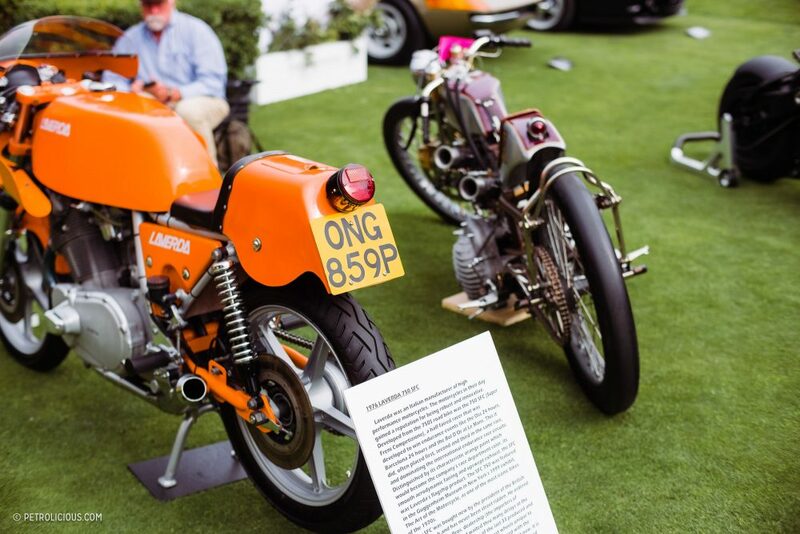 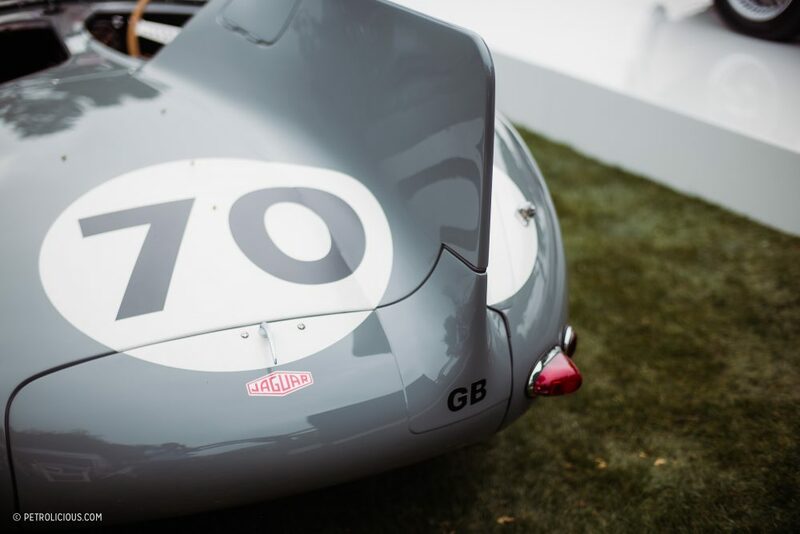 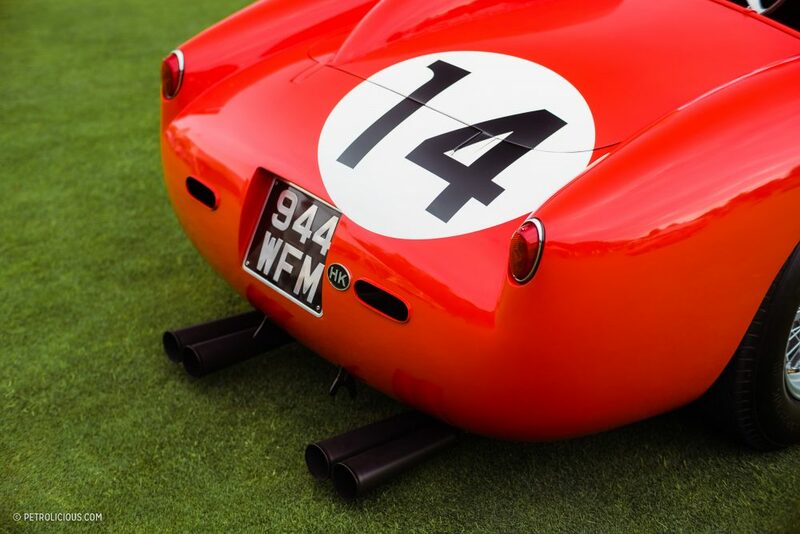 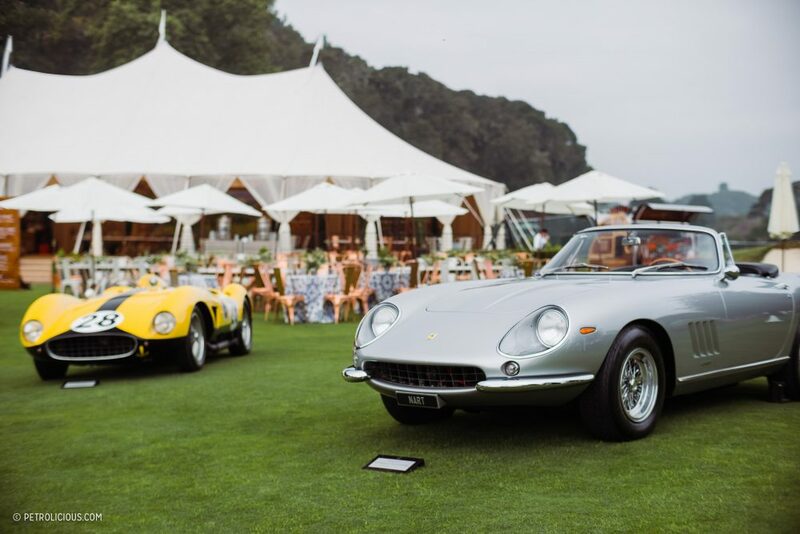 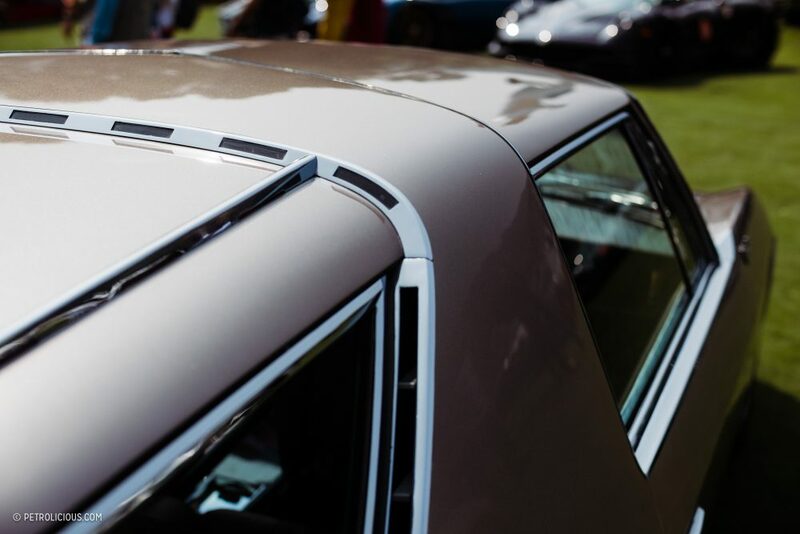 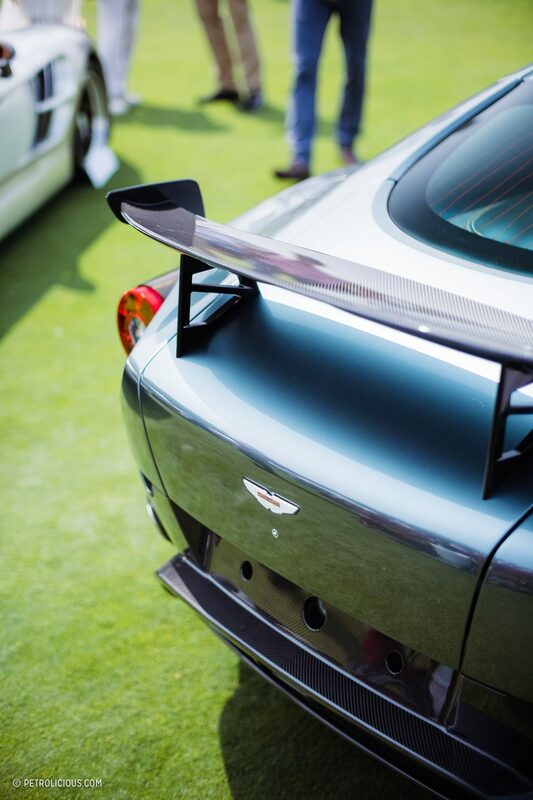 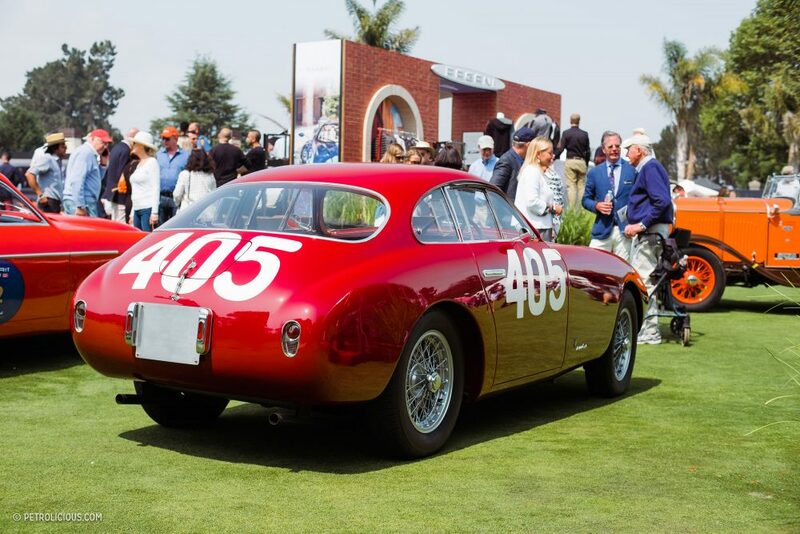 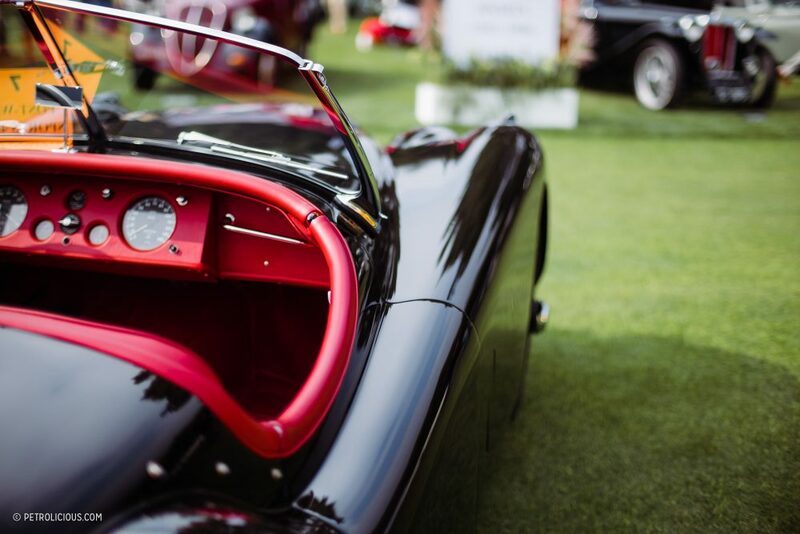 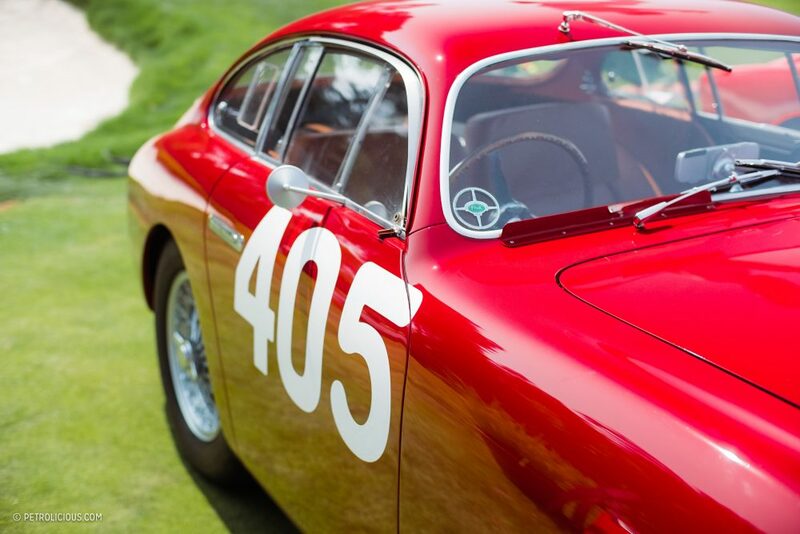 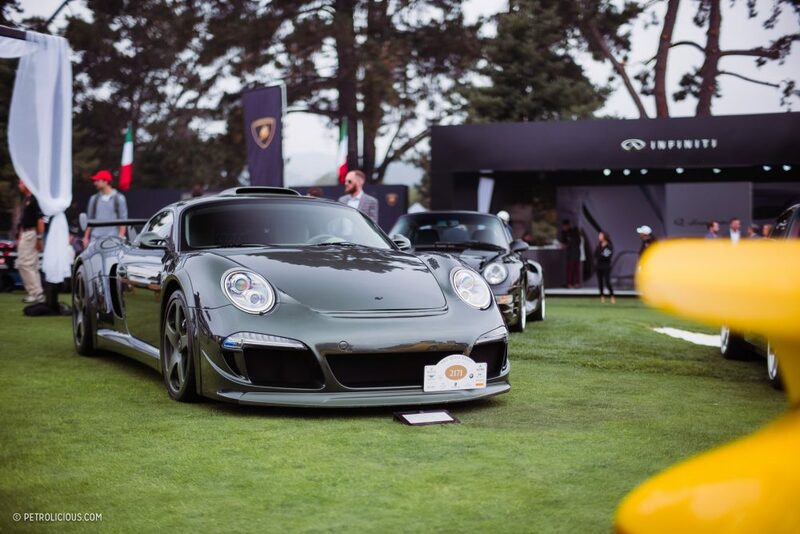 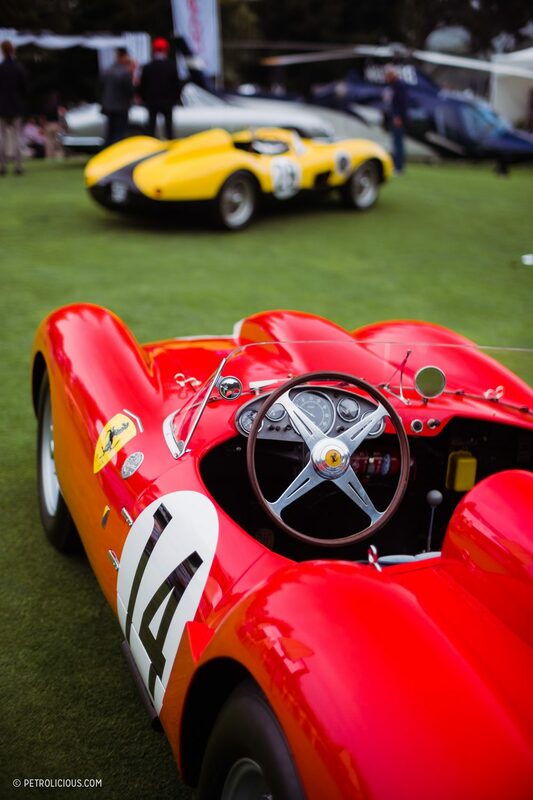 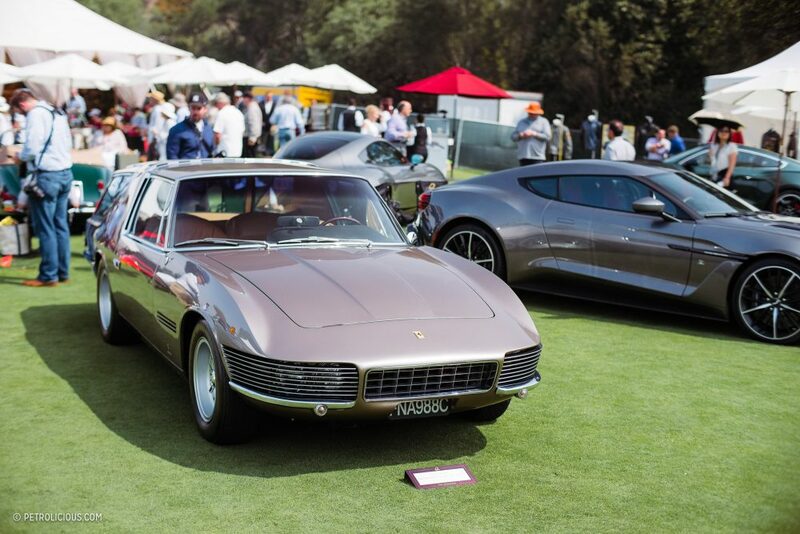 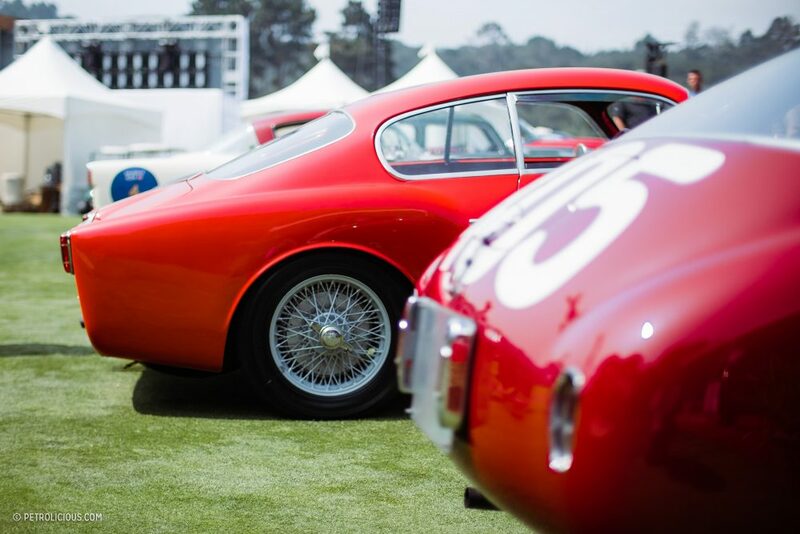 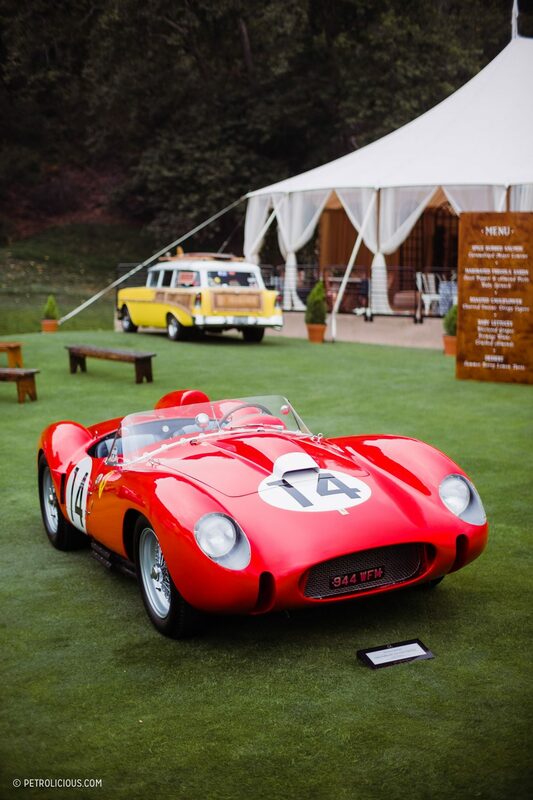 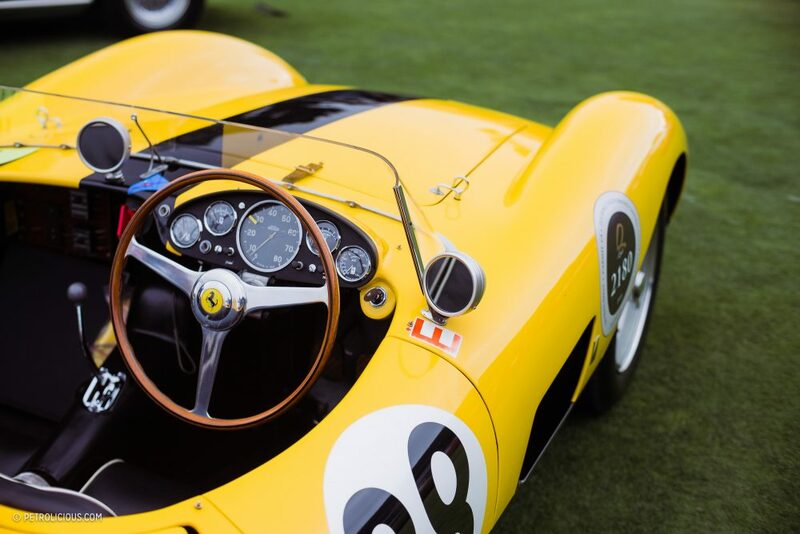 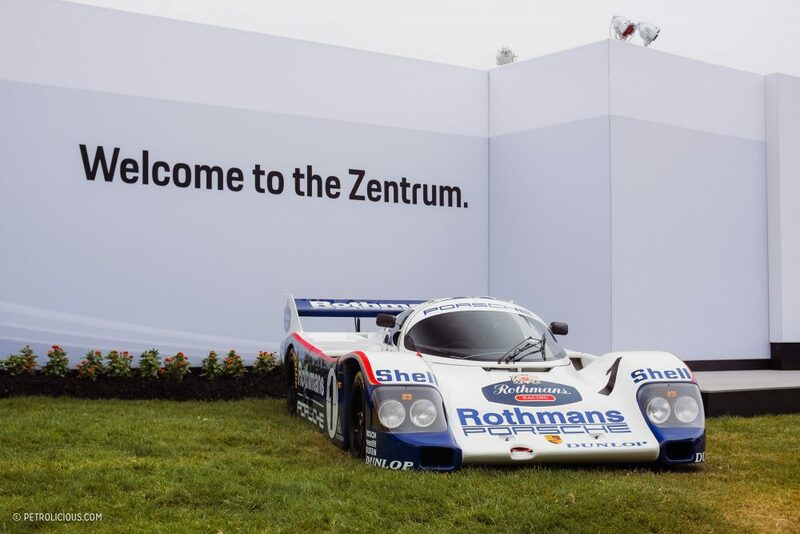 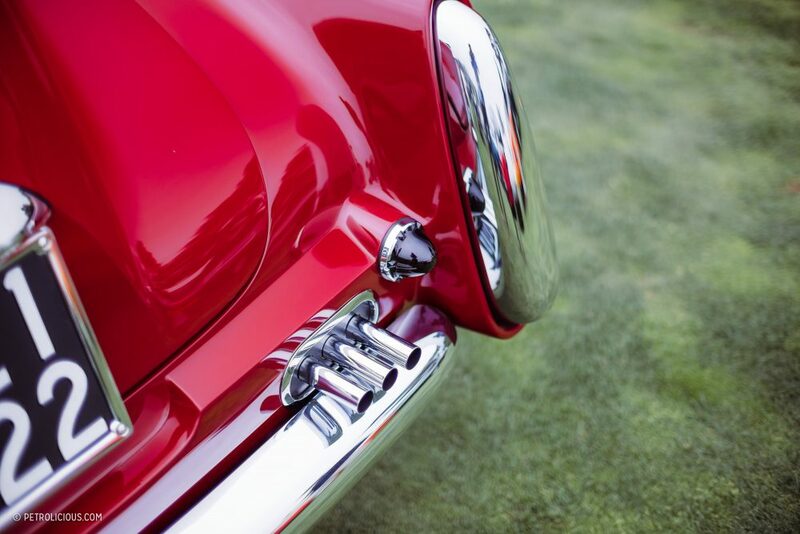 As soon as the hour hit 8:00AM and the gates opened, the Quail golf-course-turned-concours-lawn was flooded with enthusiasts, owners, and media. 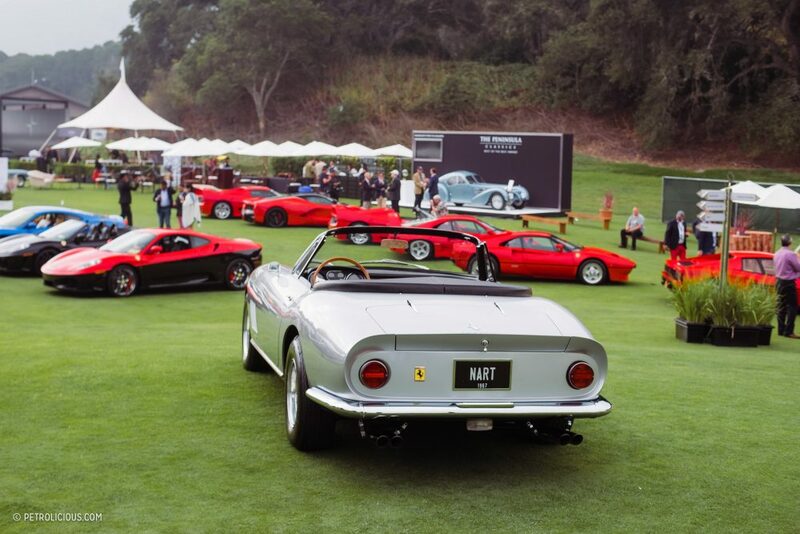 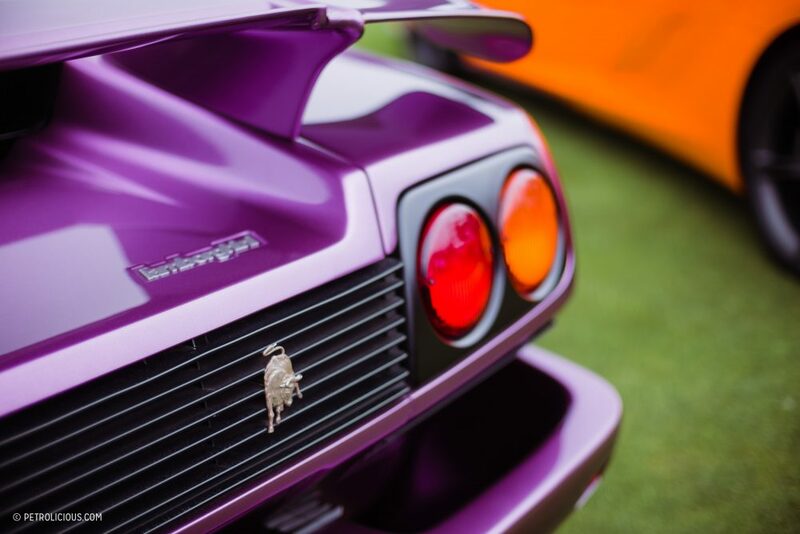 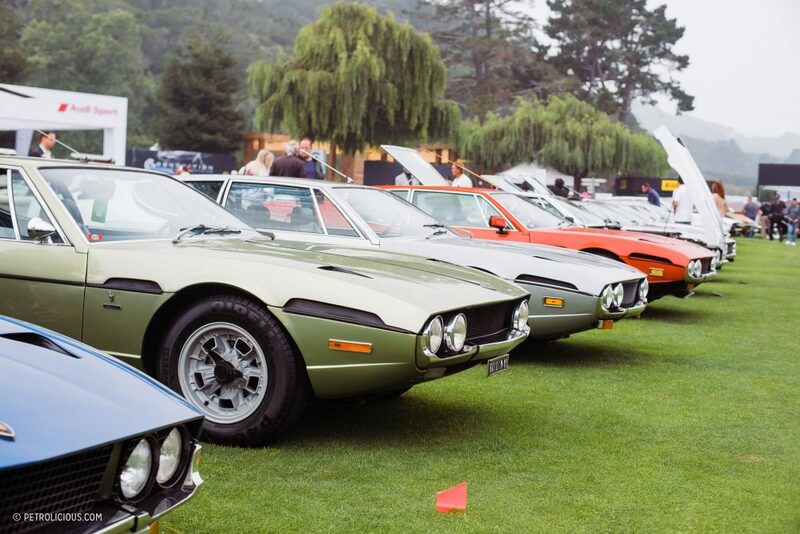 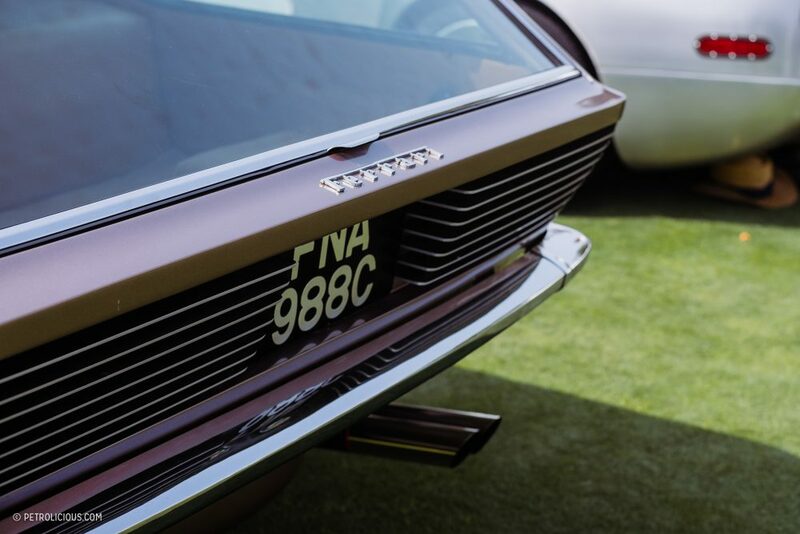 The grounds were made up of a few different “camps” or clusters of cars including a green filled exclusively with red Ferraris, a semicircle of Paganis in the back, what seemed to be the a week’s production run of Lamborghini Espadas and Isleros, and a group of RUFs sat right in the middle of it all. 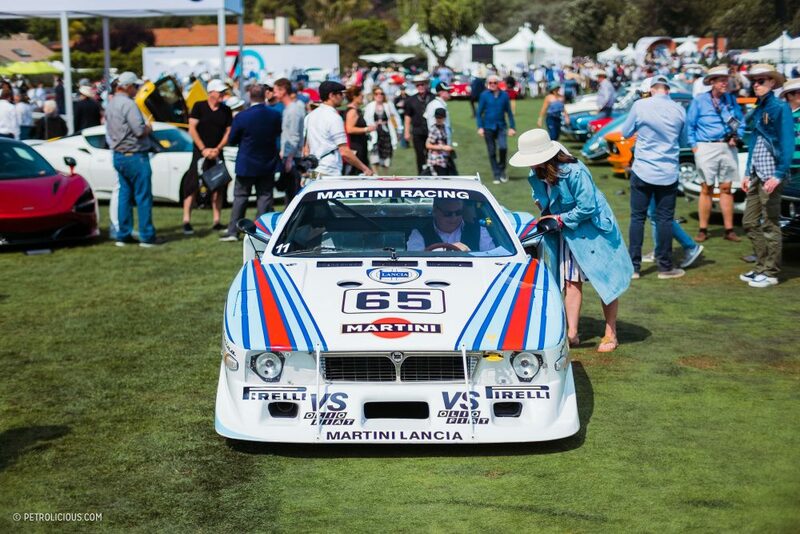 Dotting the perimeter was an impressive variety of automotive manufacturers exhibiting their latest works, a small group of helicopter and yacht salespeople, along with John Campion’s squadron of Martin liveried Lancia race cars to provide a dash of color and motorsport pedigree. 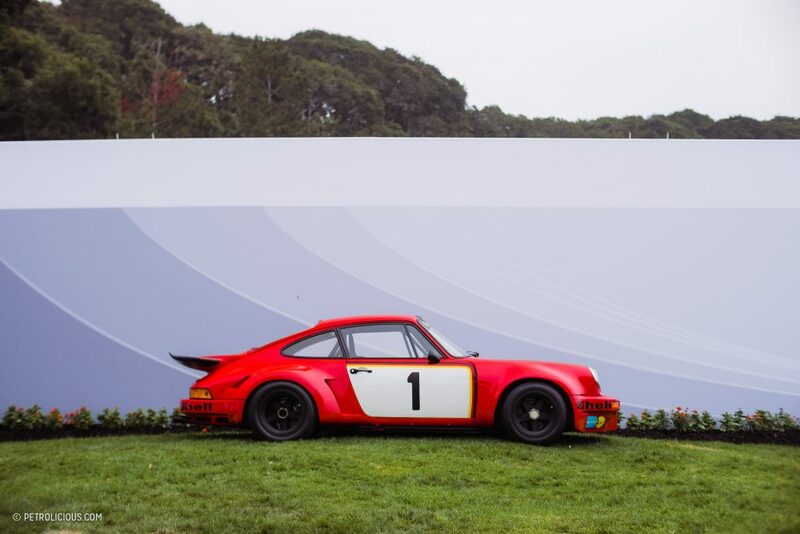 It goes without saying, but the Quail is an experience in opulence. 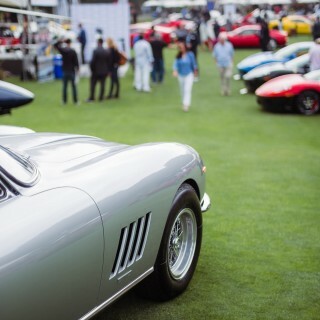 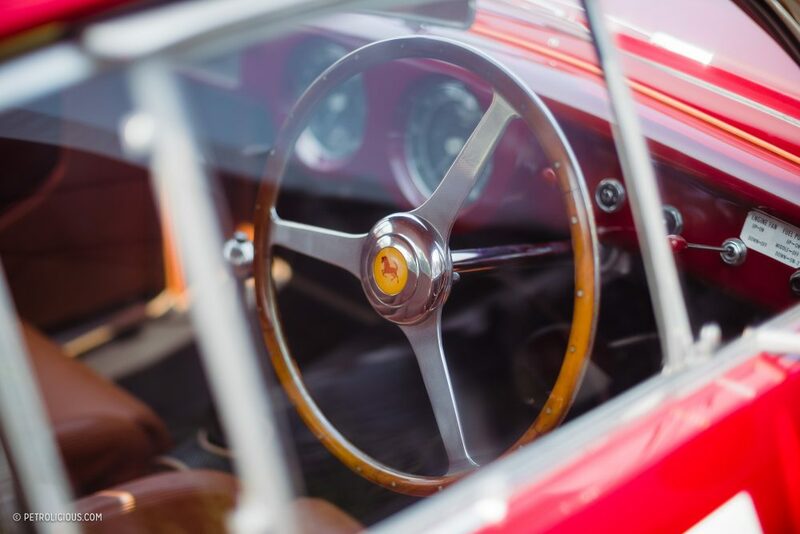 One can spend hours in the Ferrari section alone, which featured two nearly full service restaurants, a helicopter, a media tent, and more than a few exhibitors on the outer edges. 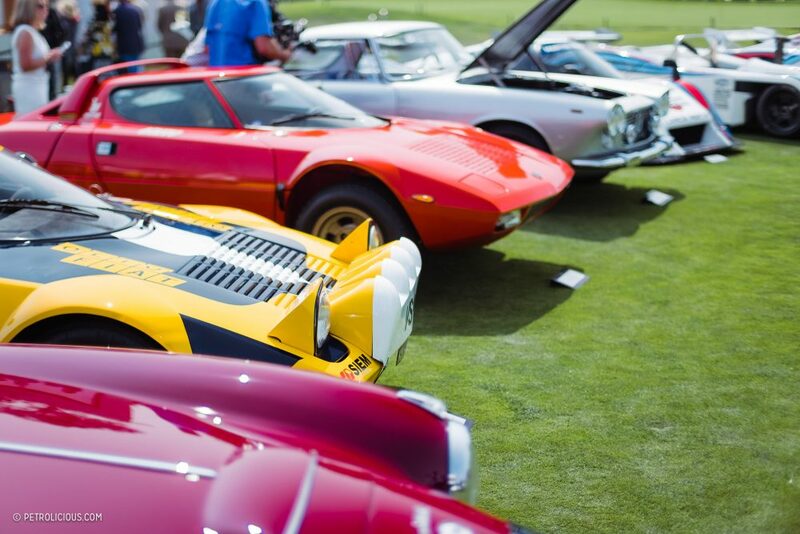 Packed in the middle of the green was a fantastic selection of Ferraris from nearly every era. 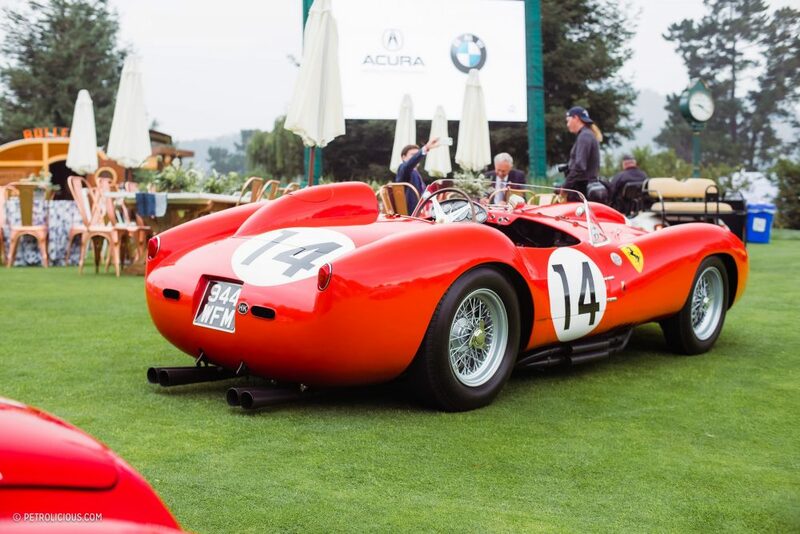 A former Le Mans and Targa Florio participant, a 1957 500TRC was perched atop the rest of the field along with a personal favorite of mine, an immaculate 1967 275 GTB/4 NART Spyder. 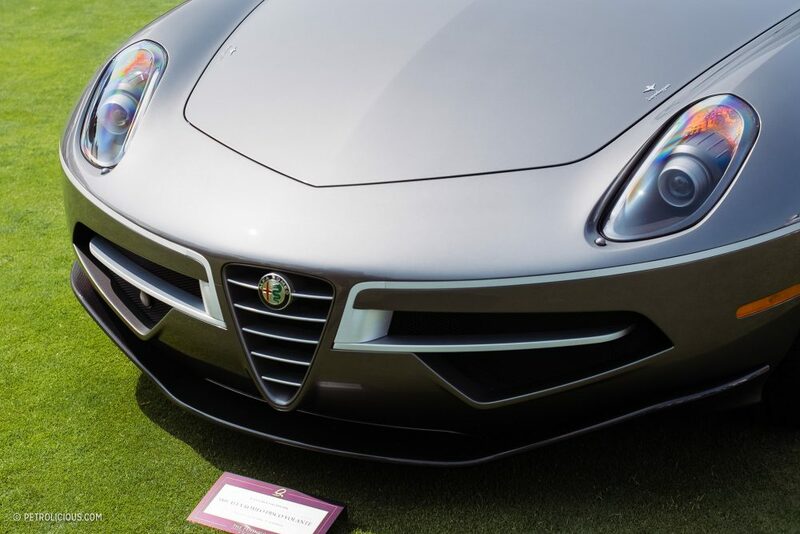 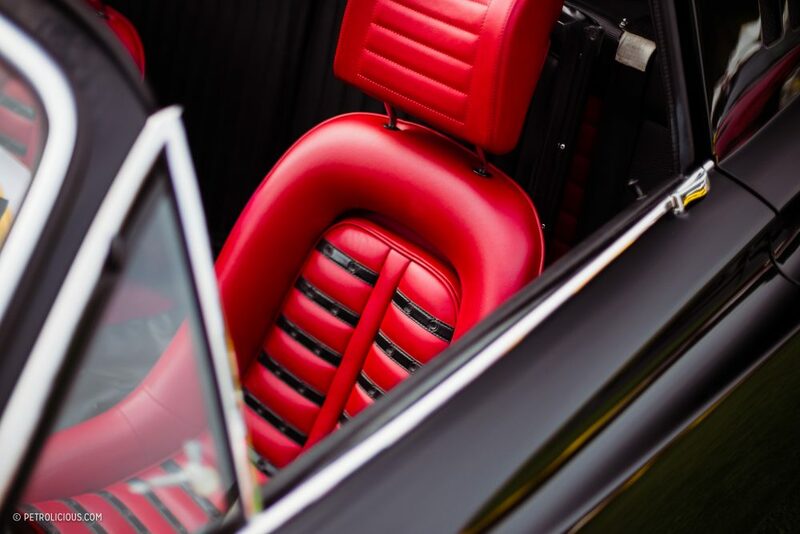 Just one of ten ever made, the car is finished in Argento Silver over Rosso Red leather. 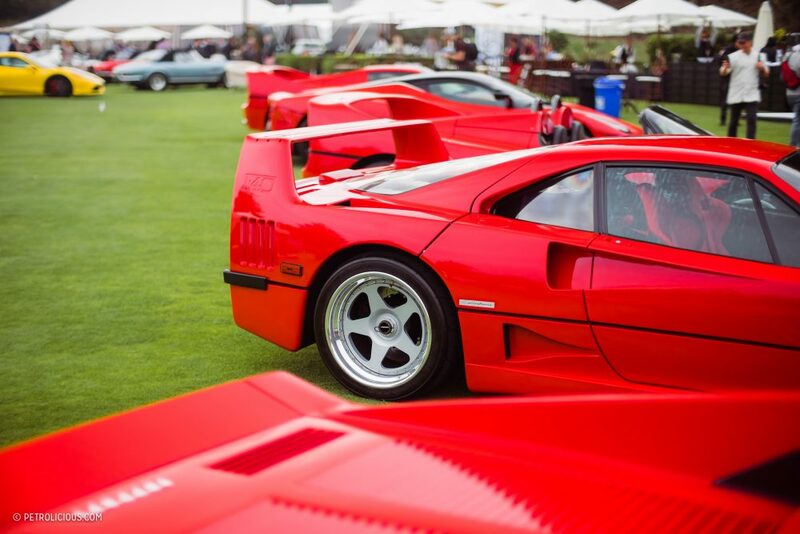 Below these were a smattering of various Ferrari road cars, including every flagship model from the 288 GTO to LaFerrari. 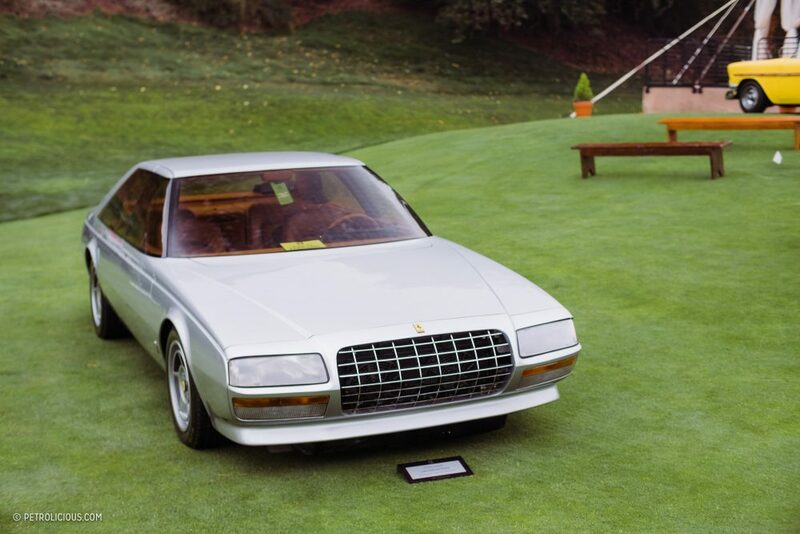 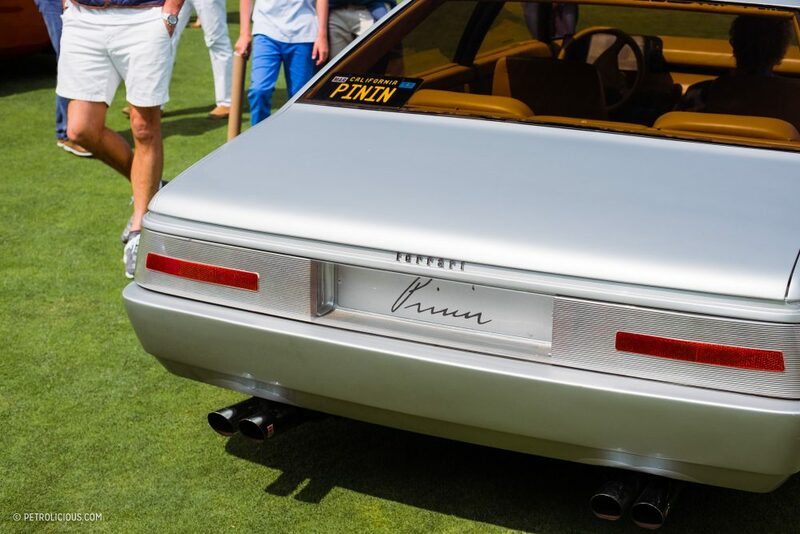 Most interesting to me though was this unique 1980 Pinin, a one-off concept car created by Sergio Pininfarina and the first four-door Ferrari ever made. 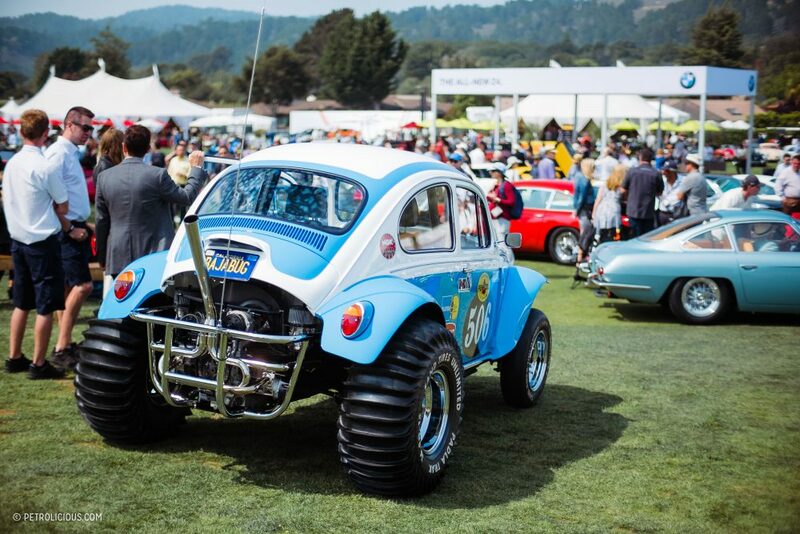 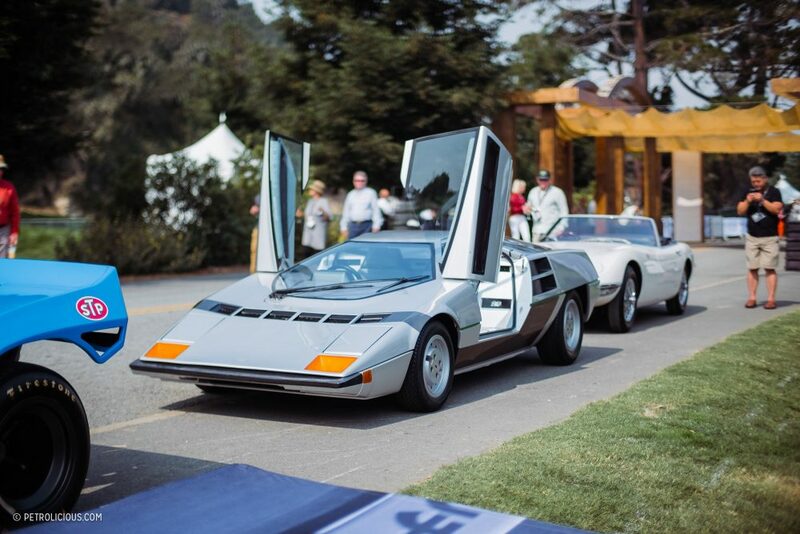 To stand out during Monterey Car Week, sometimes you need to have something that literally nobody else does. 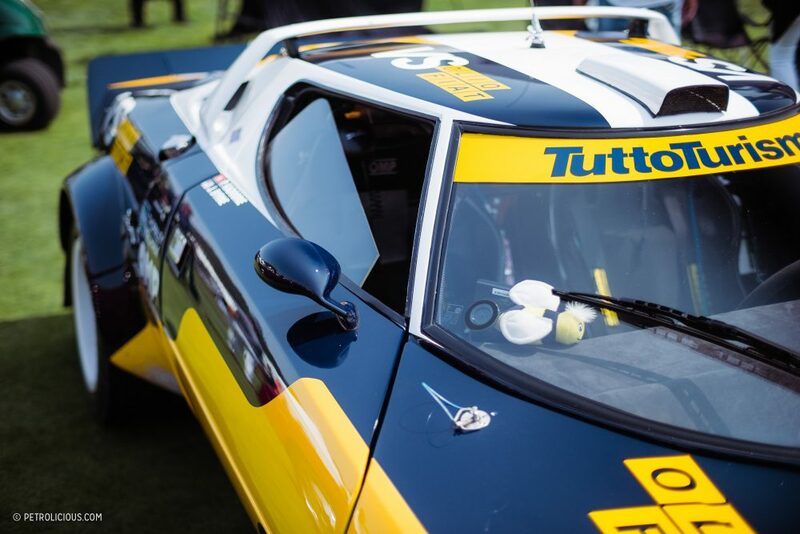 Opposite the entrance was Campion’s unbelievable collection of historic Lancias, mixed in with some other racing creations from the company that has long been absent from motorsport. 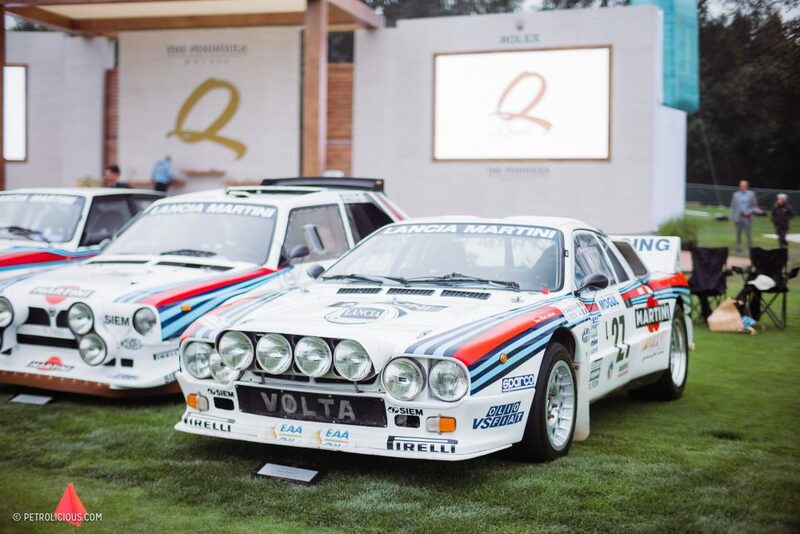 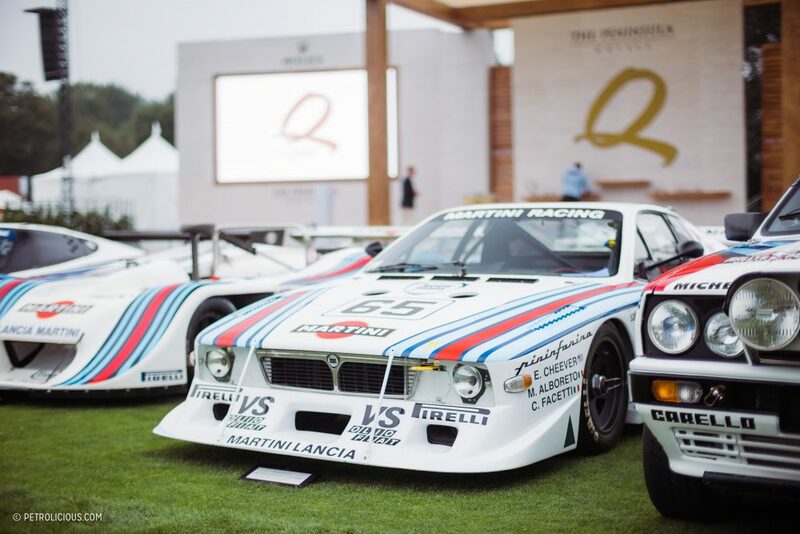 Half of the group consisted of former 1980’s race cars sporting the iconic Martini colors, from the 1981 Beta Monte Carlo Turbo that raced at Le Mans, to Miki Biason’s WRC-winning 1988 Delta HF Integrale 8V. 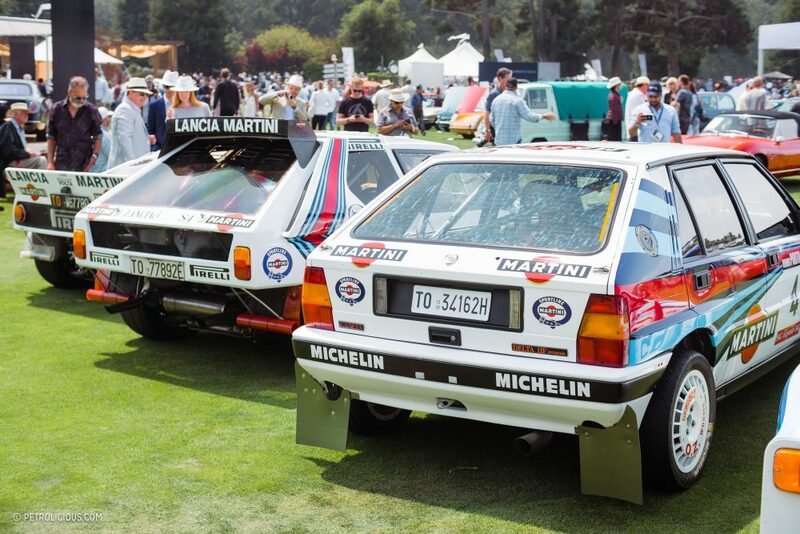 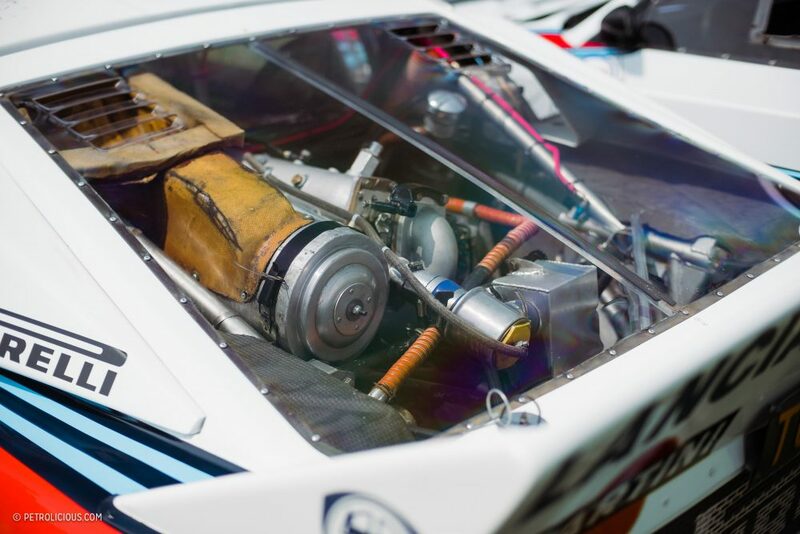 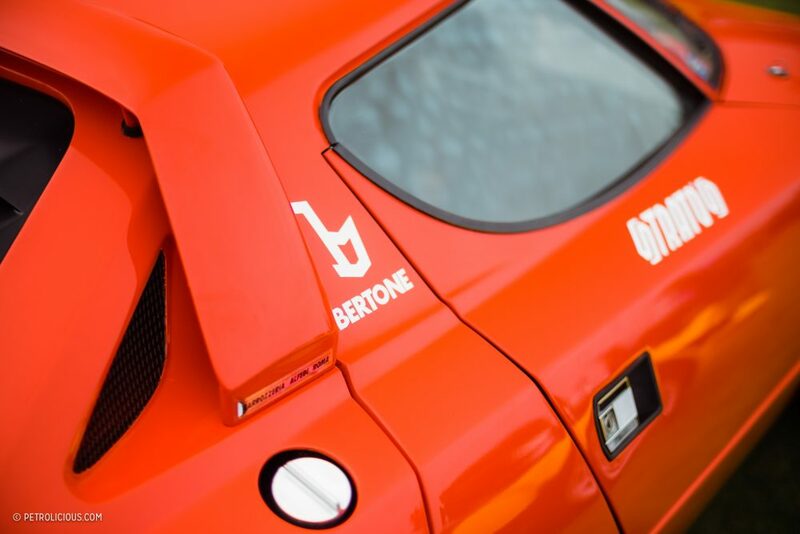 Seeing just one of these is a great experience in itself, but to have them all in one place only amplifies the significance of each, as opposed to diluting it with reptition—they may look similar, but these cars had very disparate purposes in their day, from WRC to Group C. On the other end of the race cars was a series of historic street-legal Lancias, topped off by the eventual Best in Show winner: a 1953 Aurelia PF200C Spider in maroon. 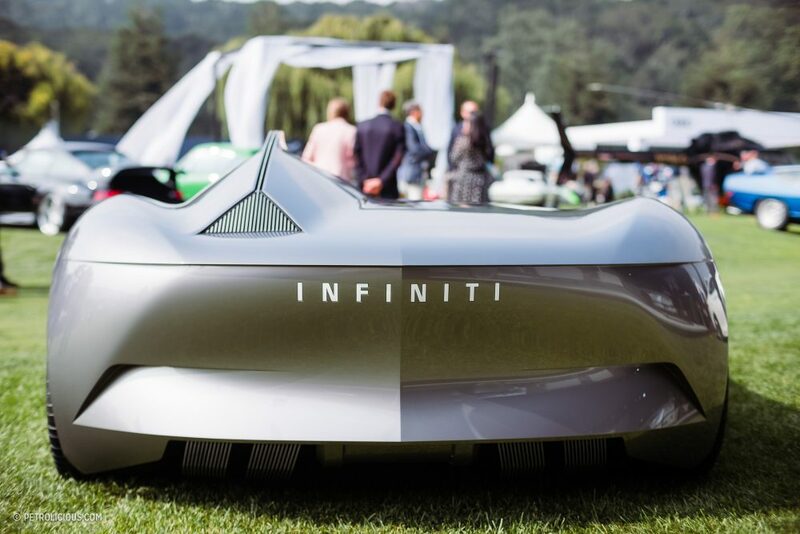 The jet-age concept car attracted a swarm of spectators as soon as it was moved into place, with good reason. 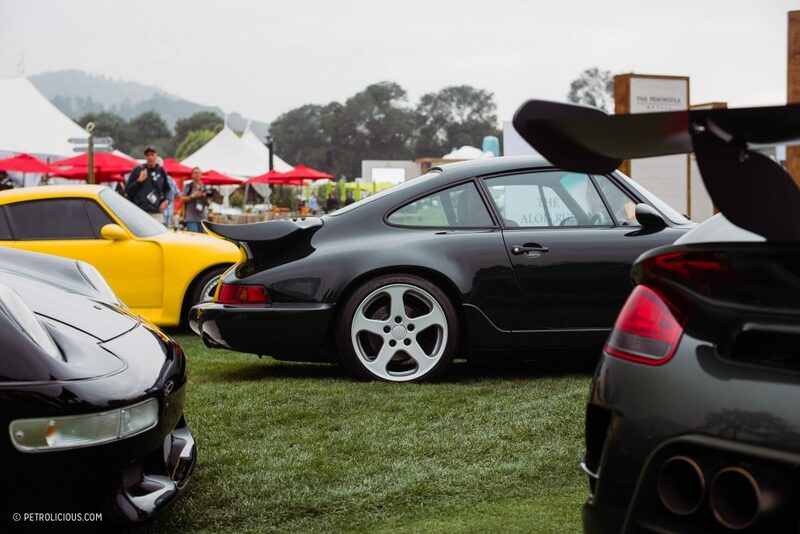 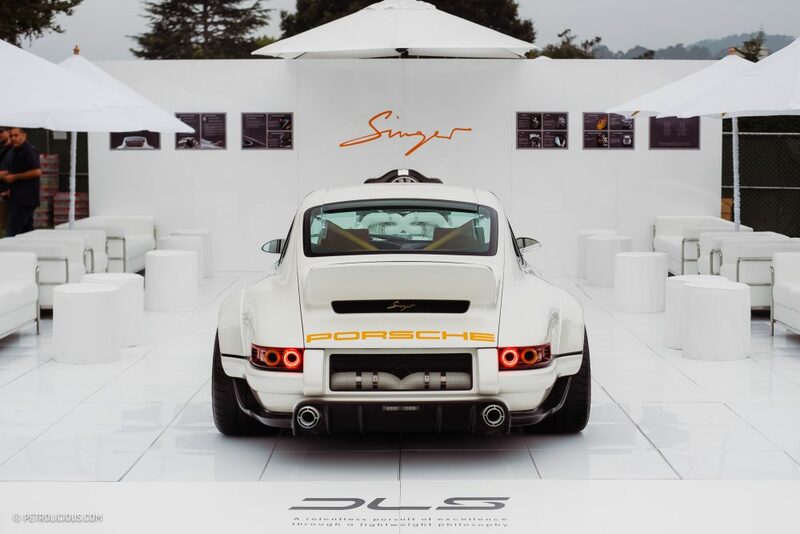 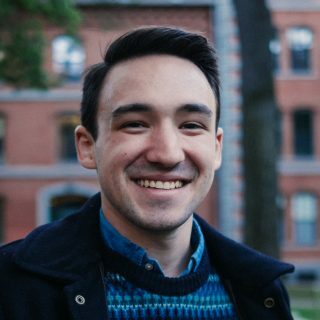 In the middle of the show field lay the RUF Reunion, the alphabet soup of cars likely forming the largest group of RUFs outside of their HQ in Pfaffenhausen. 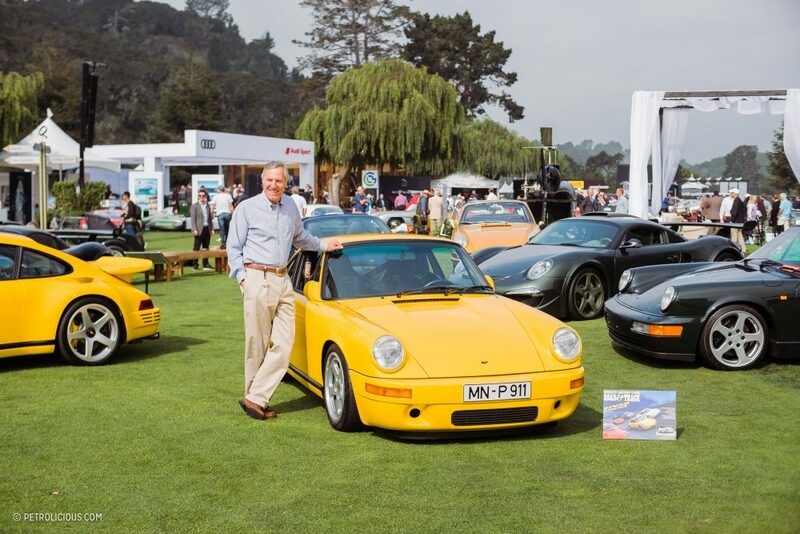 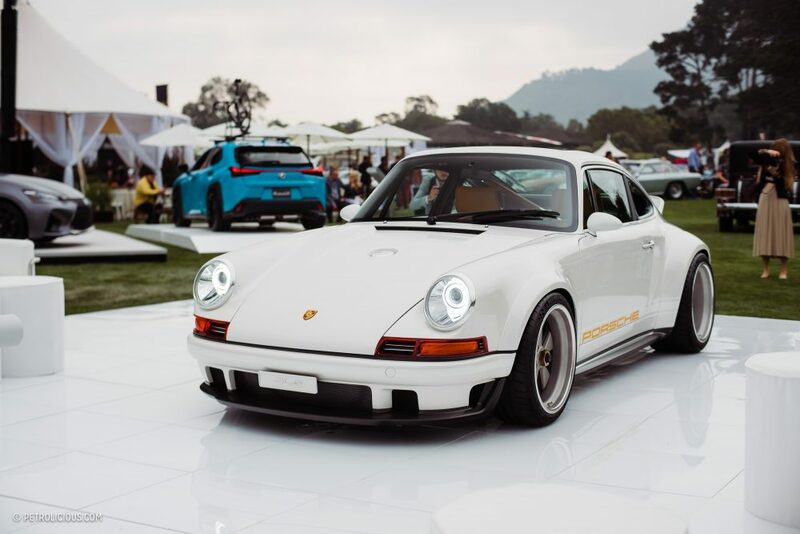 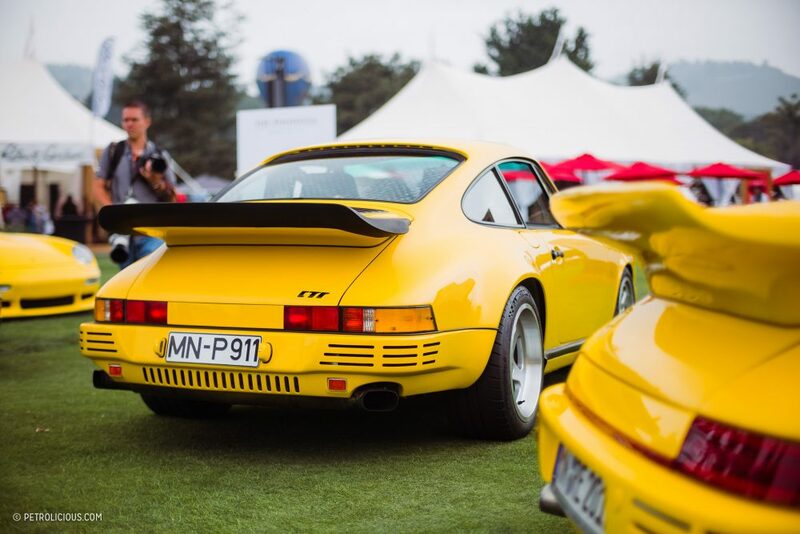 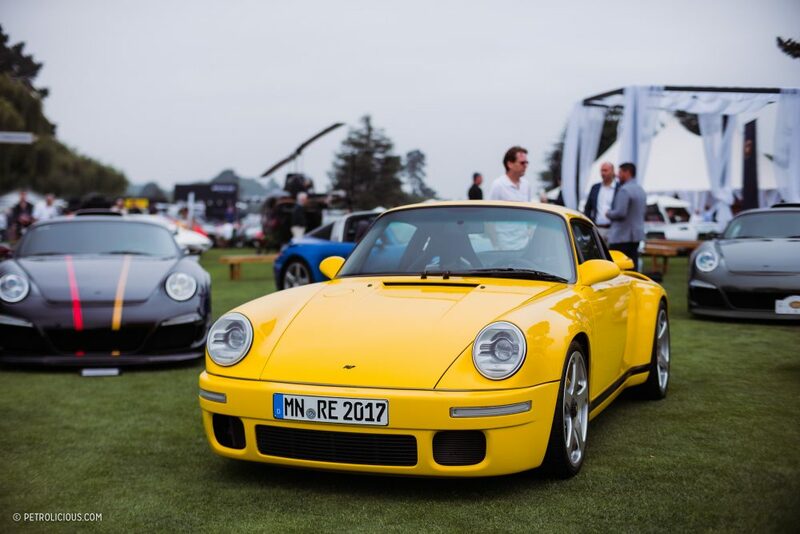 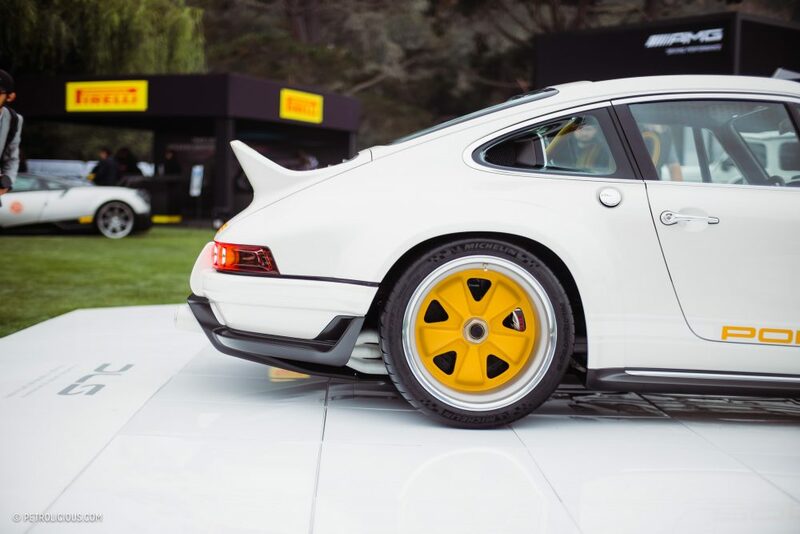 Two of the most notable were the new carbon-bodied RUF CTR 2017 and my personal favorite of the bunch, the first production Yellowbird from 1987, which is currently owned by collector and friend of Petrolicious Bruce Meyer. 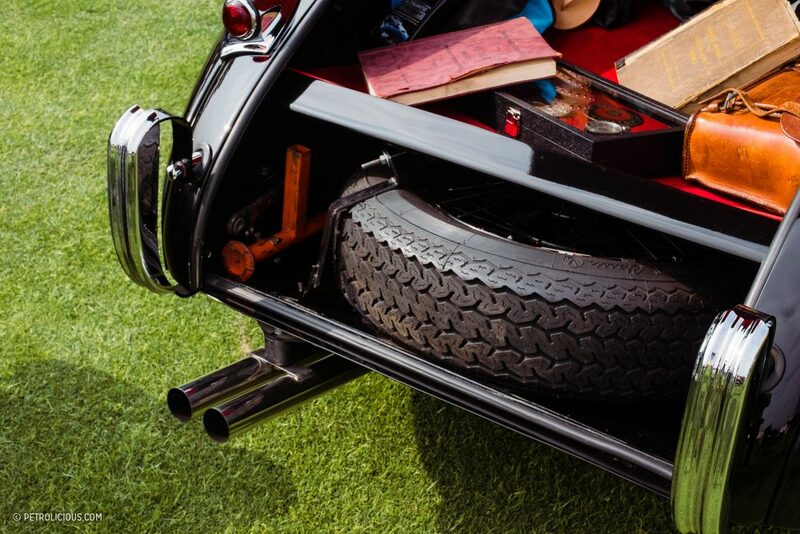 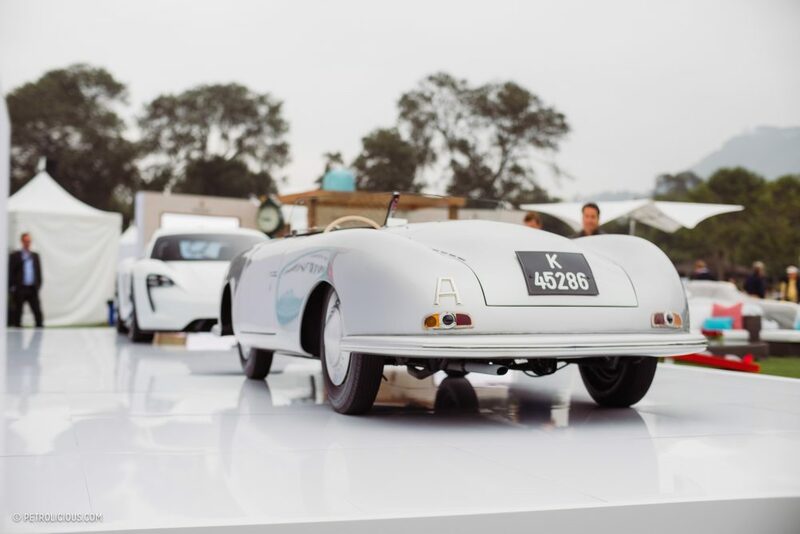 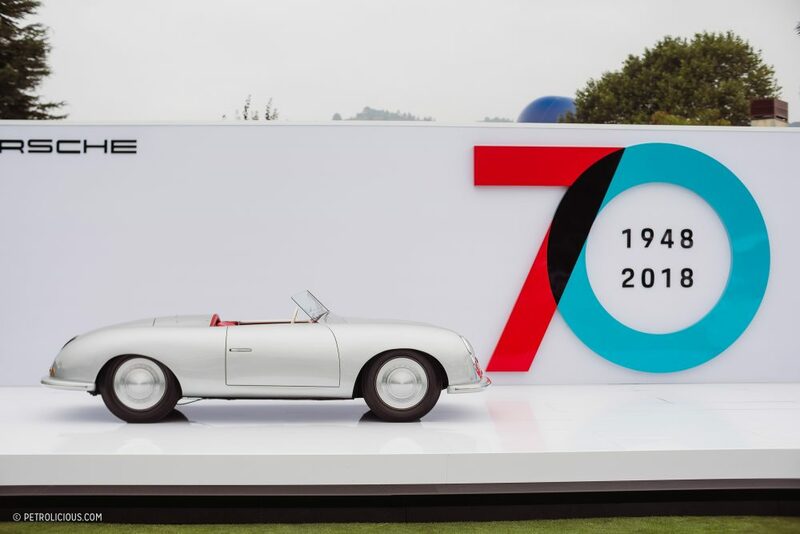 Not far away, and not to be outdone, Porsche had brought the 1948 Porsche 356/1, the first car ever made by the company to receive road registration seven decades ago. 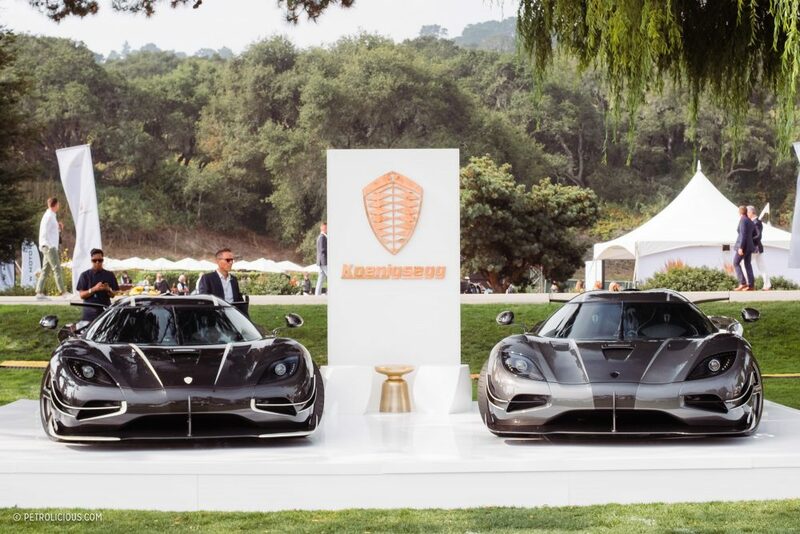 The car sat opposite the striking Taycan/Mission E in celebration of their 70 years of roadgoing automobile production, as well as an interesting display of the resilience of the company’s design language. 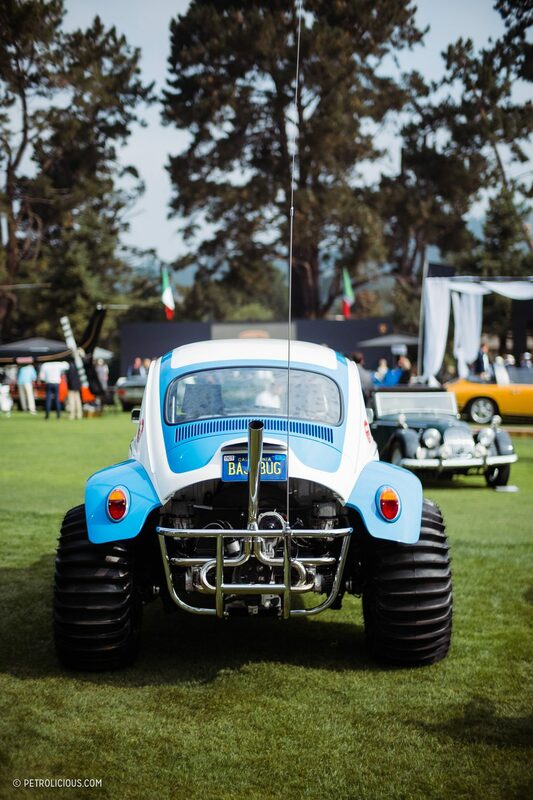 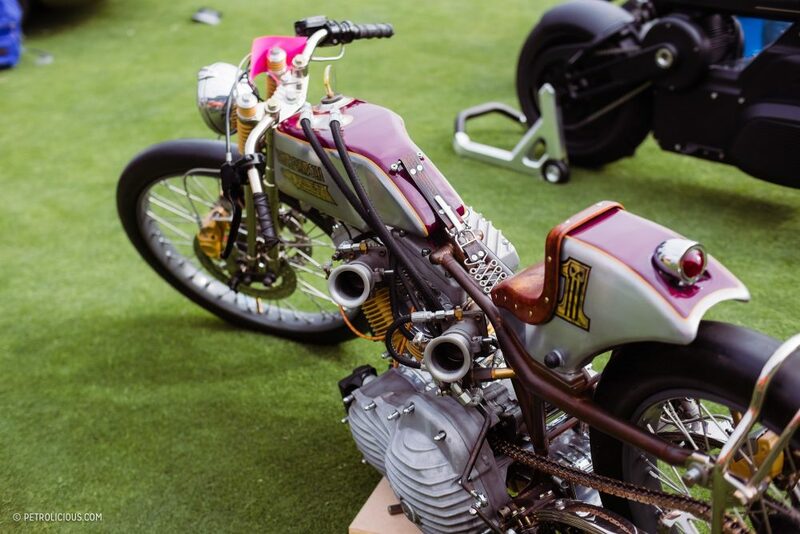 Placed around the show field were various oddball vehicles, but these were no joke either. 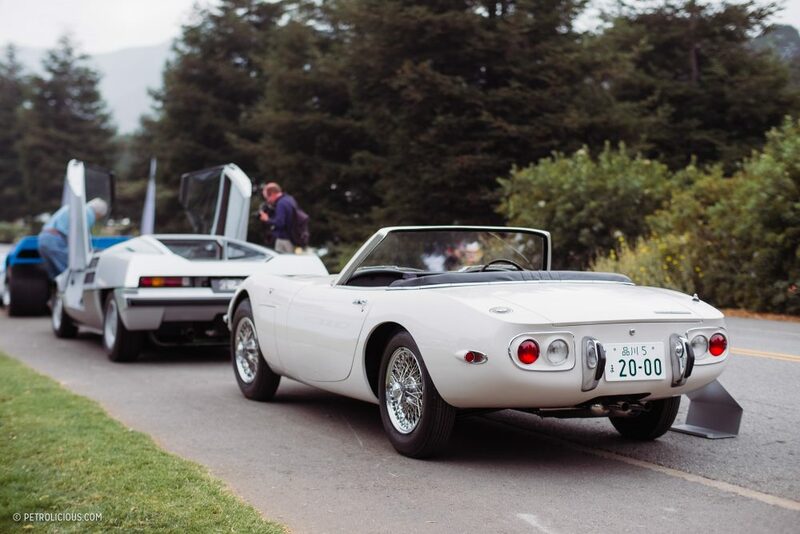 One of best hiding out back there was the 1967 Toyota 2000GT Roadster from the Bond film You Only Live Twice. 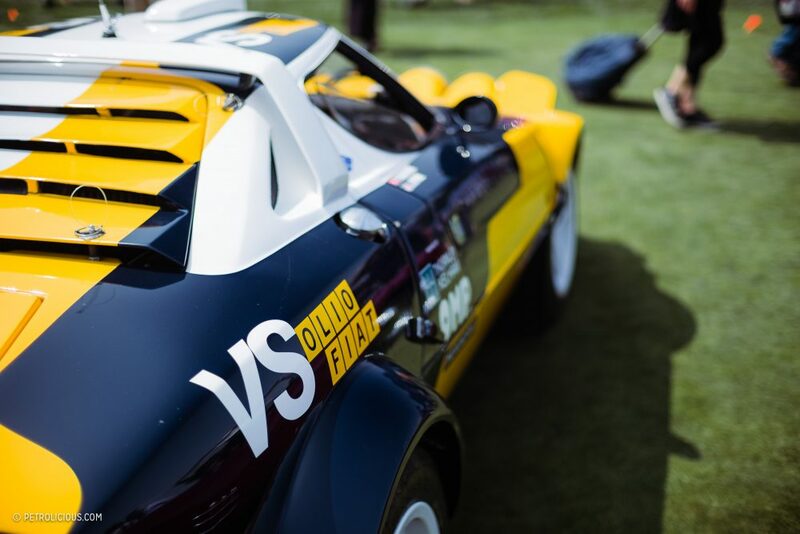 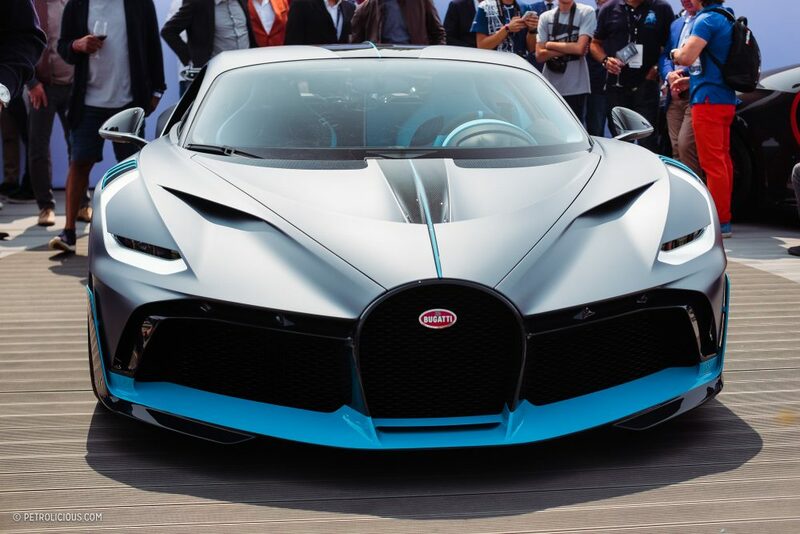 Entered by the Petersen Museum, it was parked in line with the rare Dome Zero prototype supercar from the Japanese motorsport outfit. 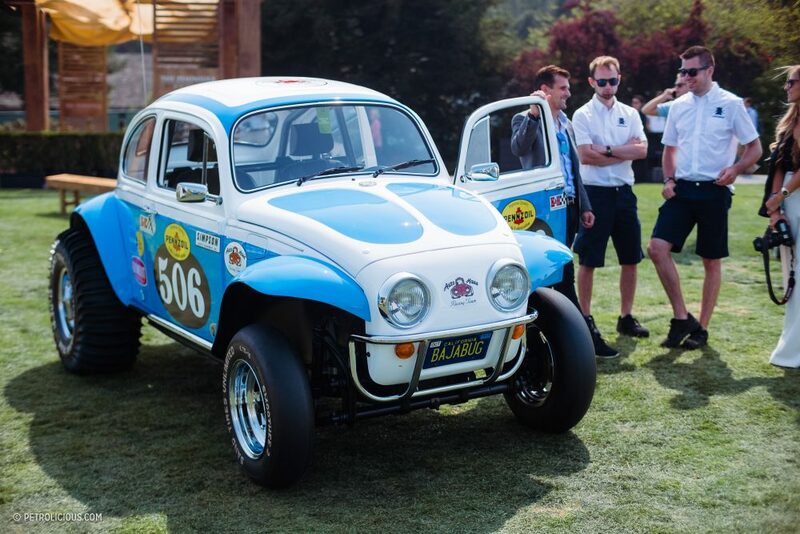 Some of the others included a collection of Mille Miglia veterans, a Volkswagen Baja Beetle (these always remind me of giant RC cars, anyone else? 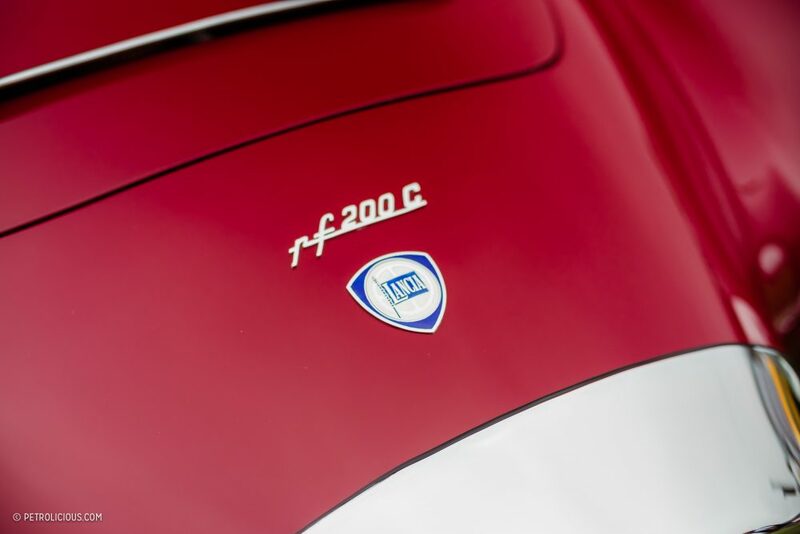 ), a 2008 Alfa Romeo Disco Volante, and the always polarizing 1965 Ferrari 330 GT Shooting Brake. 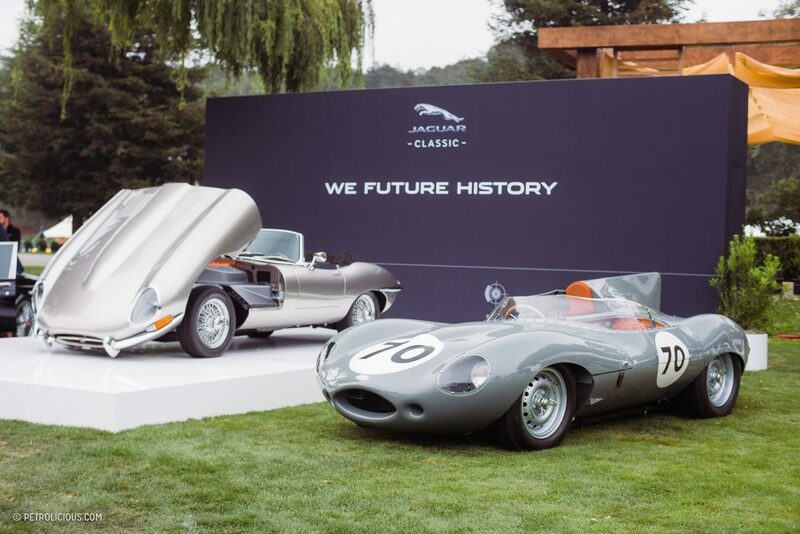 Around the perimeter were a series of much newer vehicles, and though I wasn’t as excited about these they are important in regards to giving us an idea of what the future of classic automobiles may look like—who doesn’t like to predict which cars will fade and which will stay? 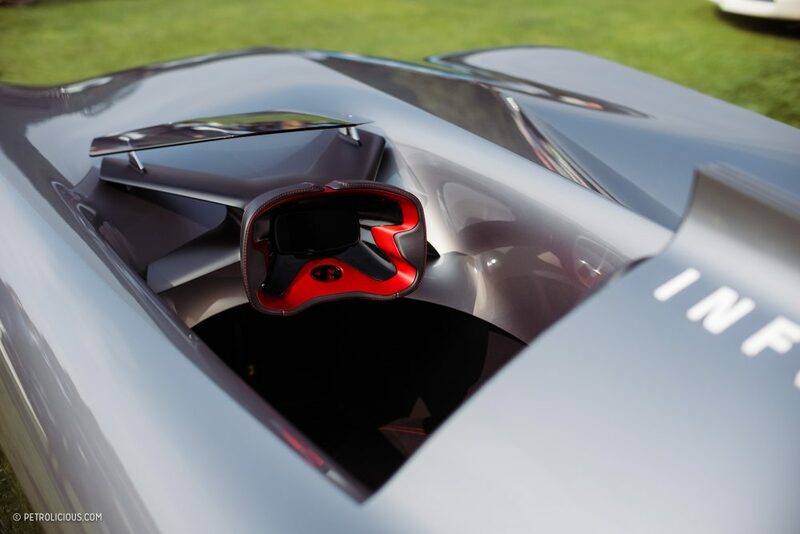 There were a few expected themes to these modern displays: all-out performance, restomodding, and electric powertrains. 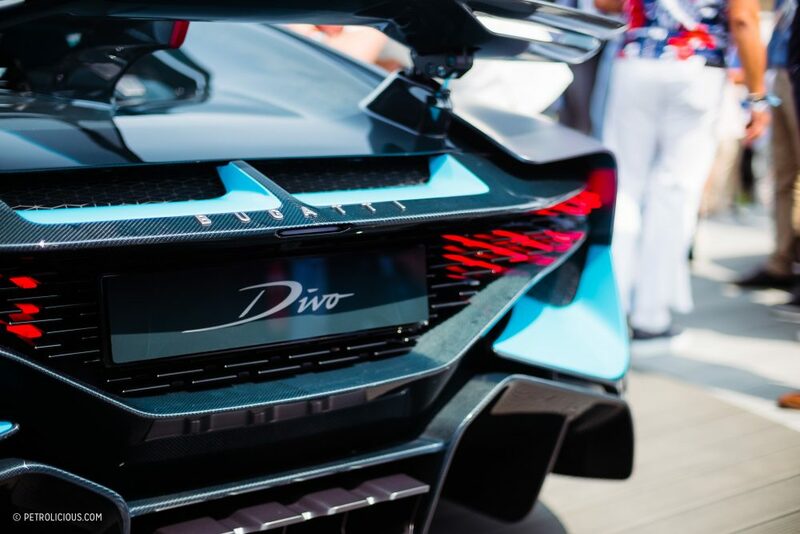 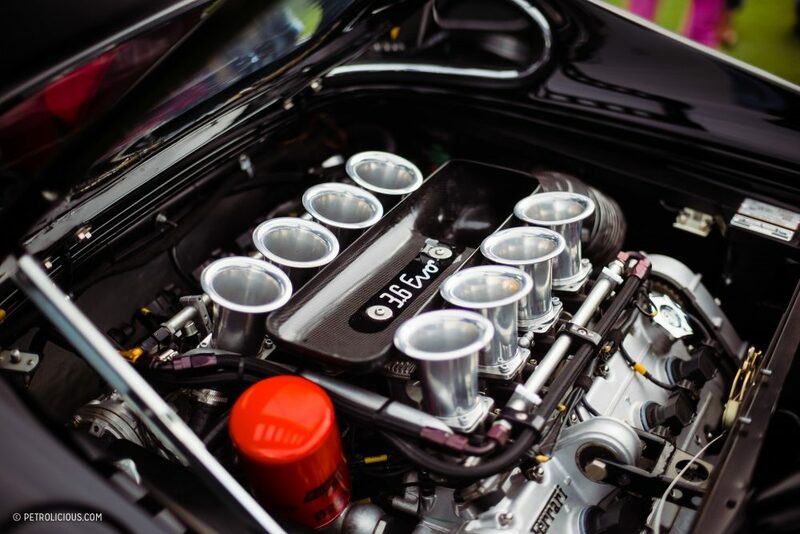 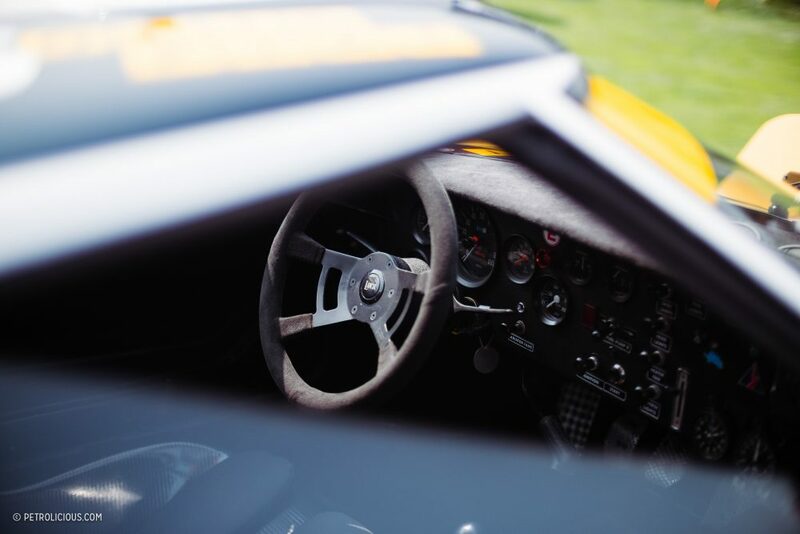 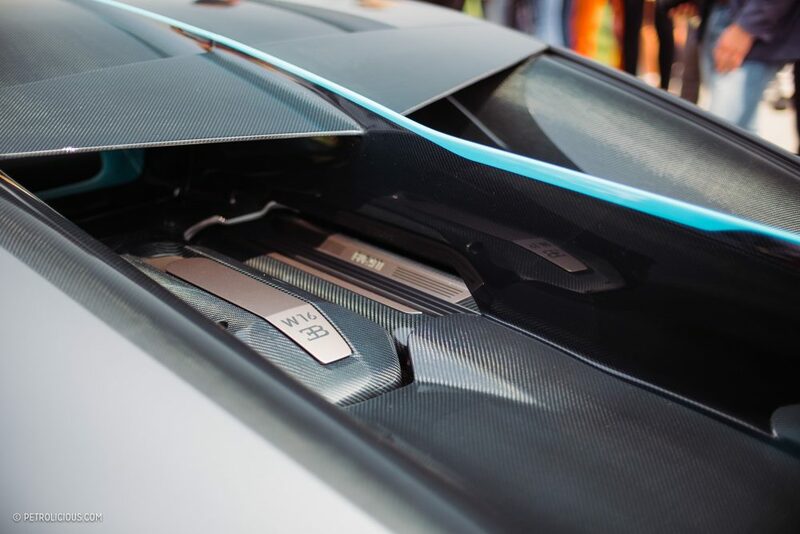 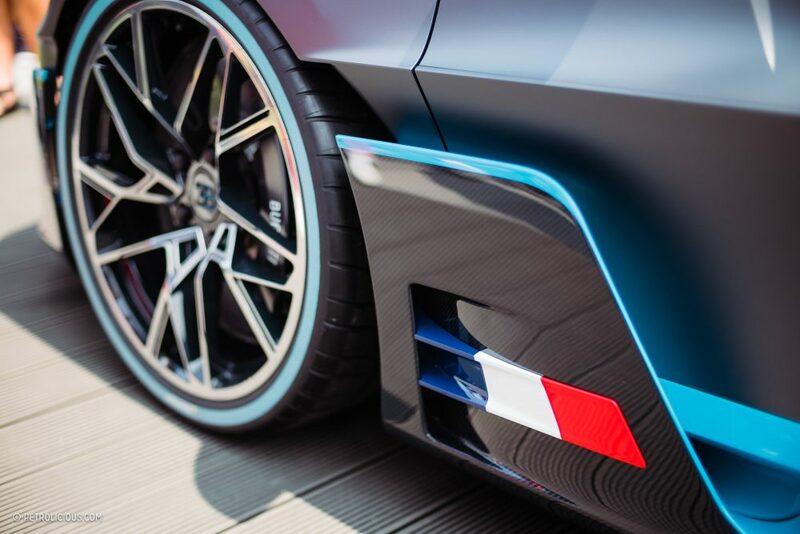 Some exhibits, such as the new Bugatti Divo, the Lamborghini Aventador SVJ, and the two Koenigsegg Agera FEs brought astronomical performance figures and evermore aggressive bodywork to existing petrol-powered platforms. 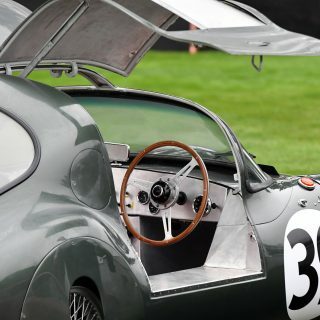 Other companies sought to breathe life into much older vehicles, including the Jaguar Classic D-Type & electric E-Type as well as the new Singer-modified DLS car and the aforementioned new RUF CTR. 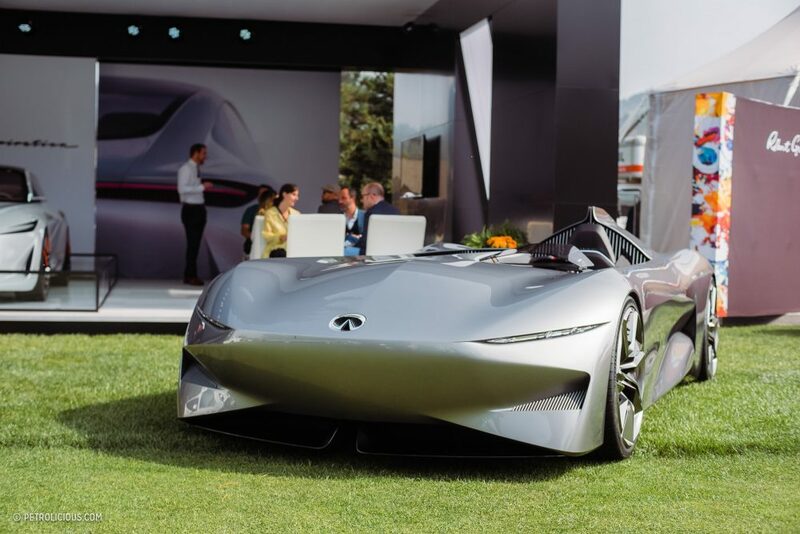 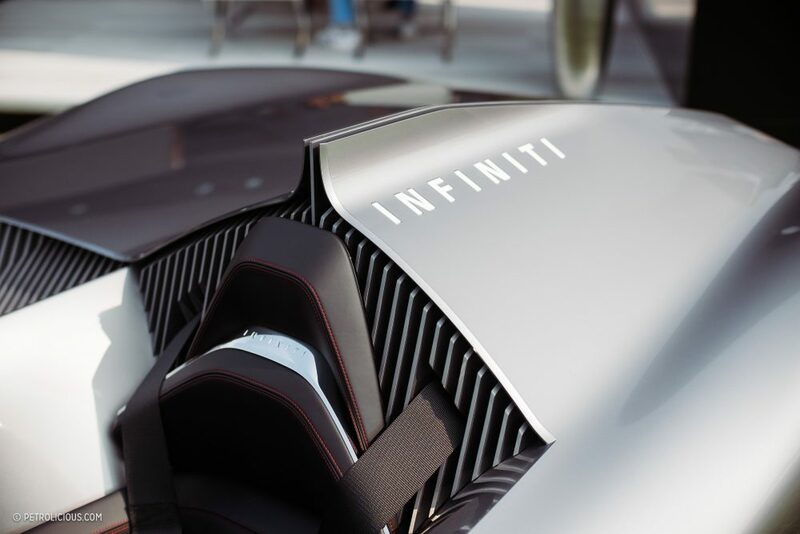 These throwbacks sat next to a few interesting new takes on the electric car, the most striking of which was the Infinity Prototype 10 roadster pictured above. 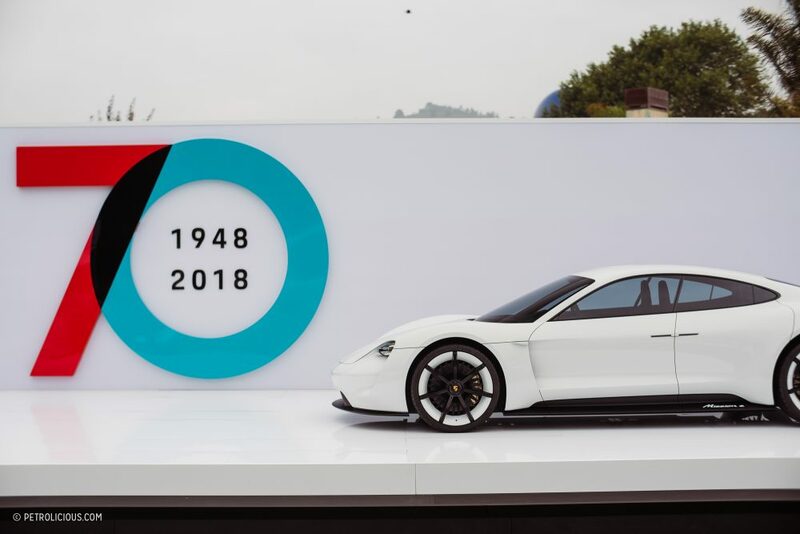 If the displays are any representation of what the future of enthusiast cars could look like, I’m more than happy to come back. 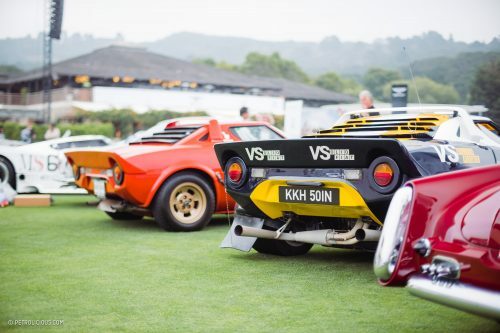 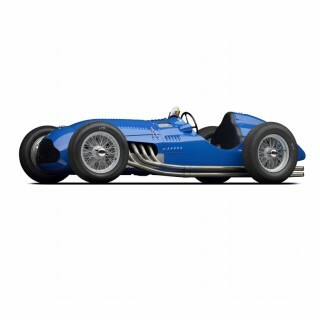 Does not get much better than this – what a spectrum of automotive delights spanning the years and showing how magical the motorcar really is. 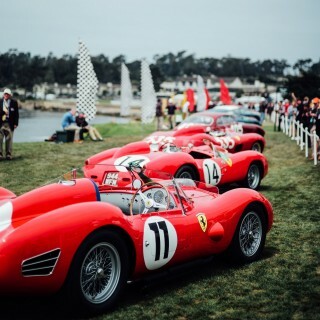 Great images and narrative by Thomas – I have to be there next year.